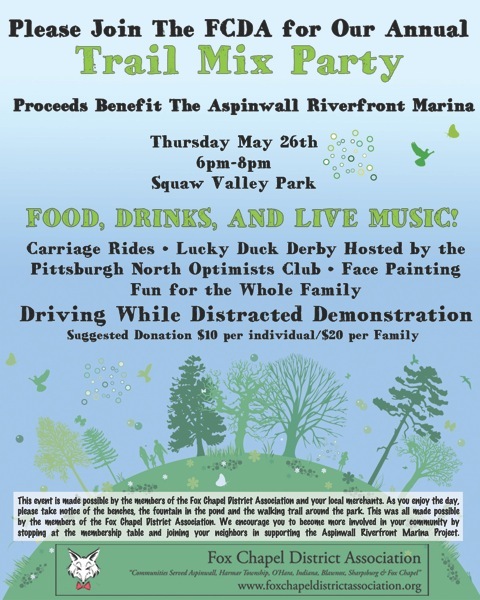 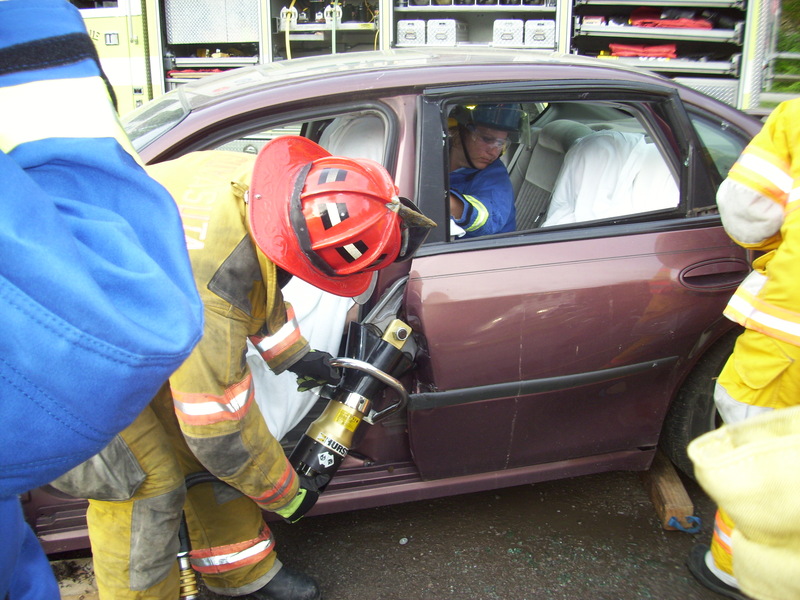 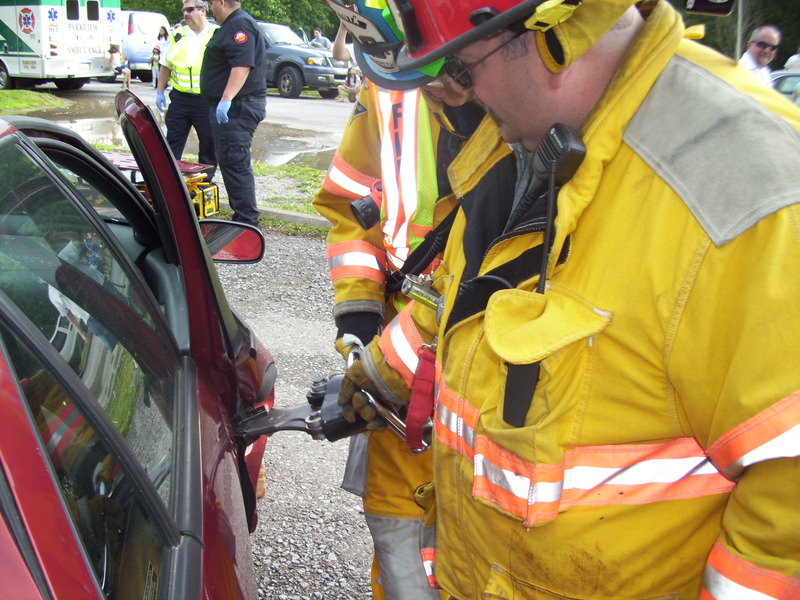 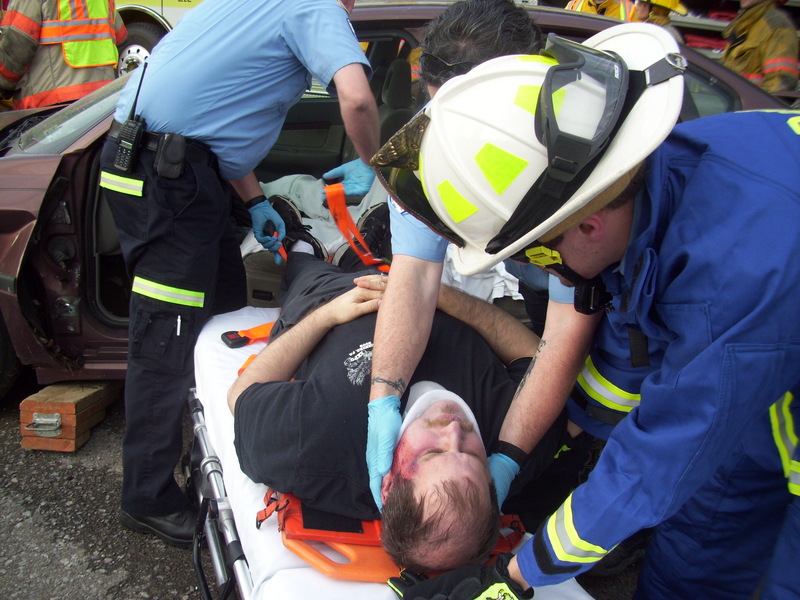 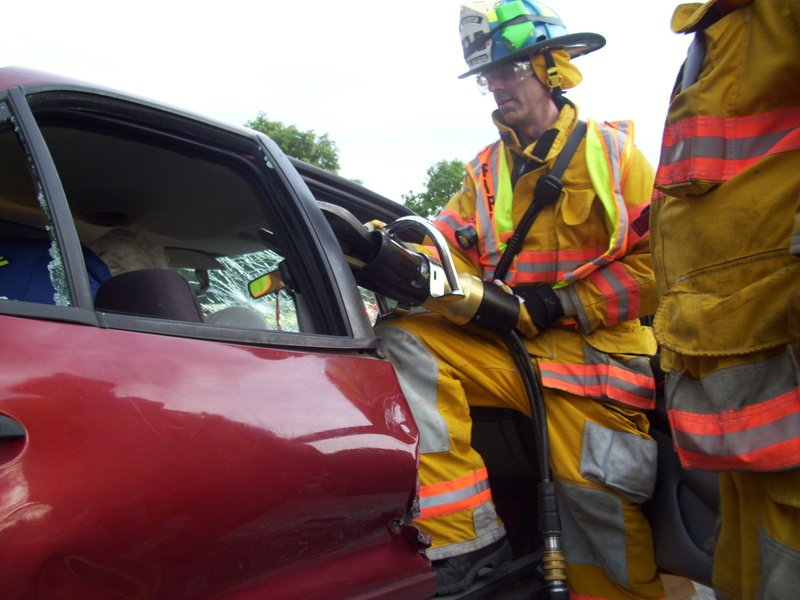 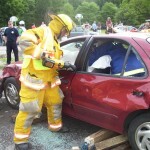 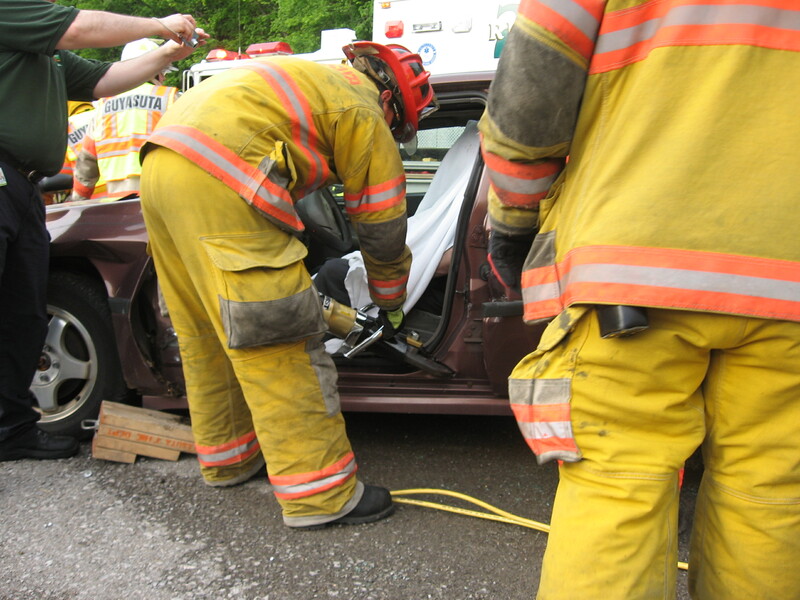 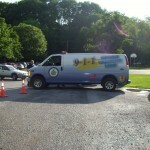 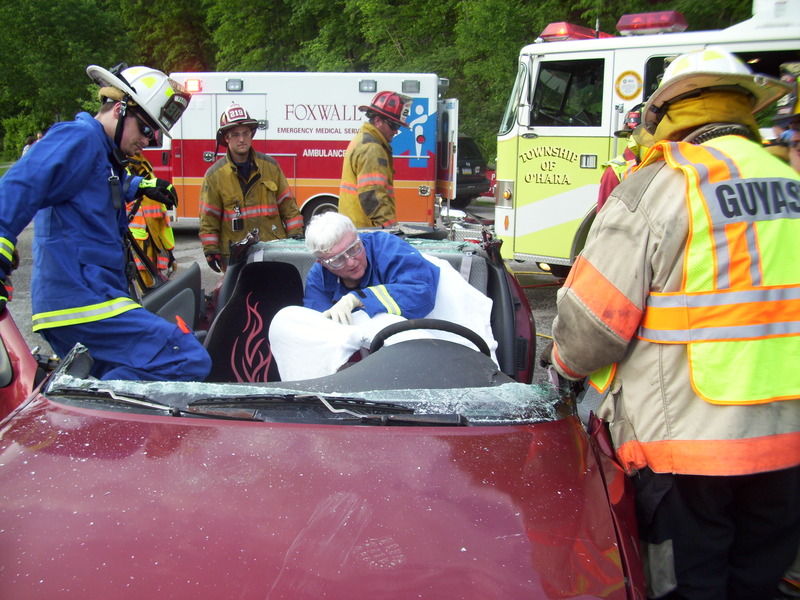 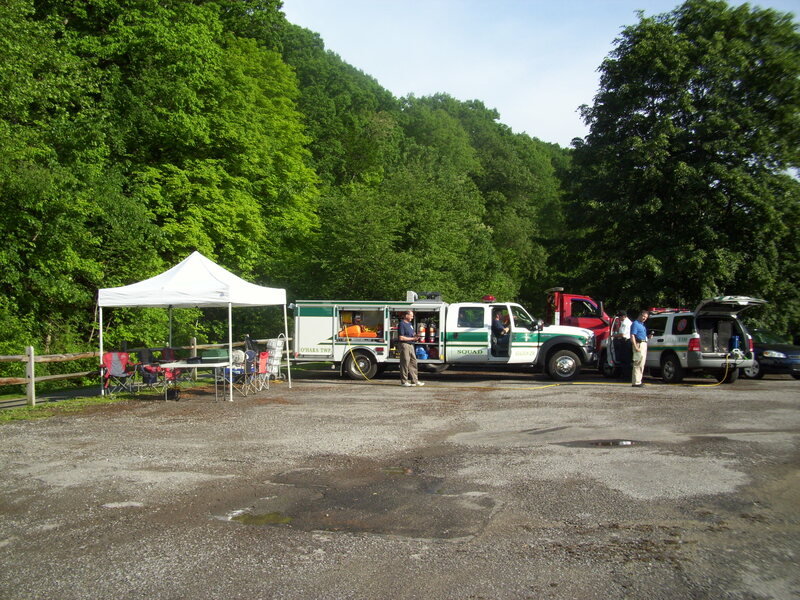 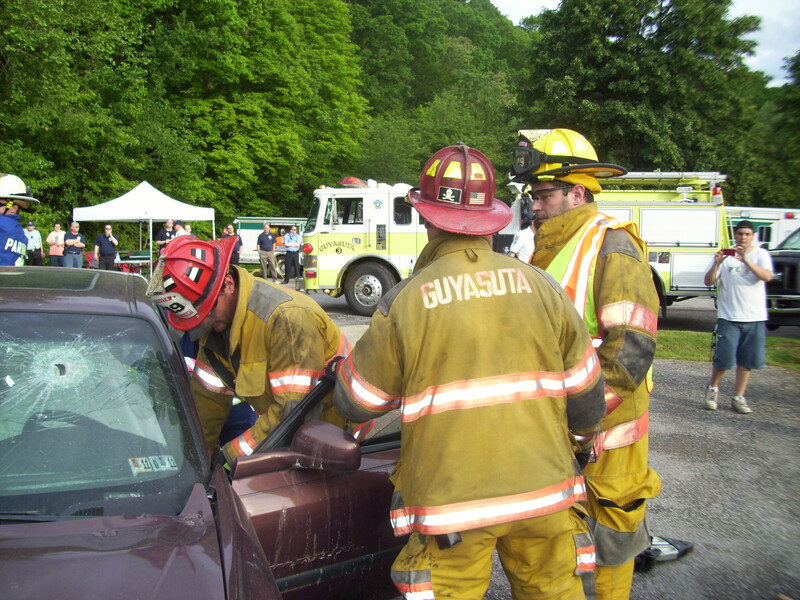 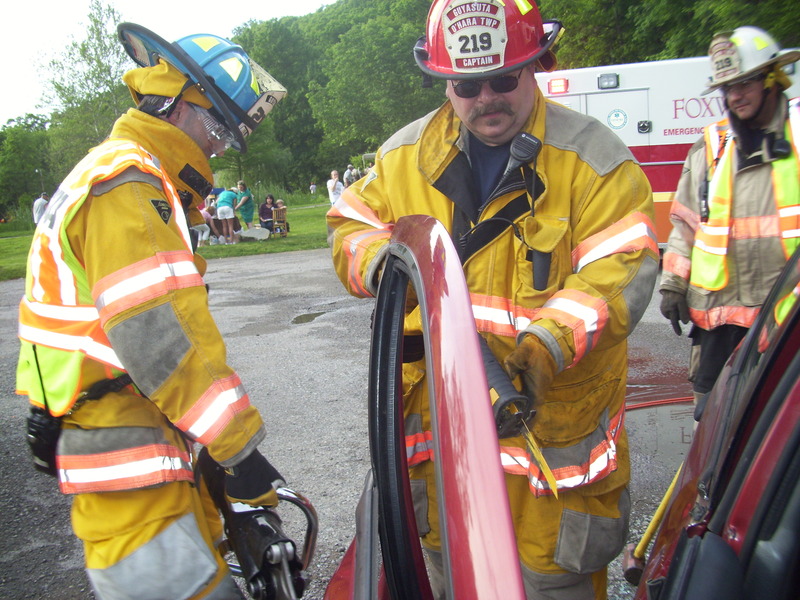 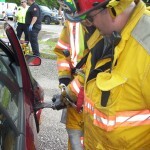 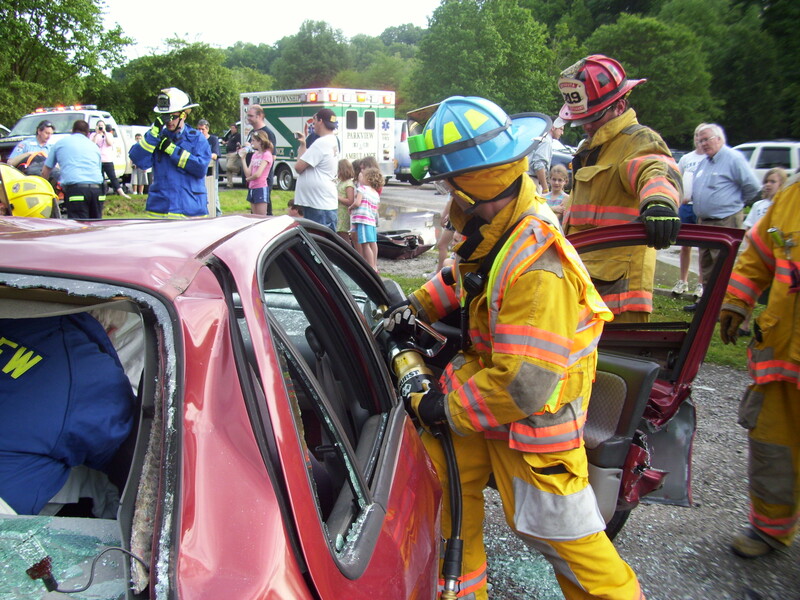 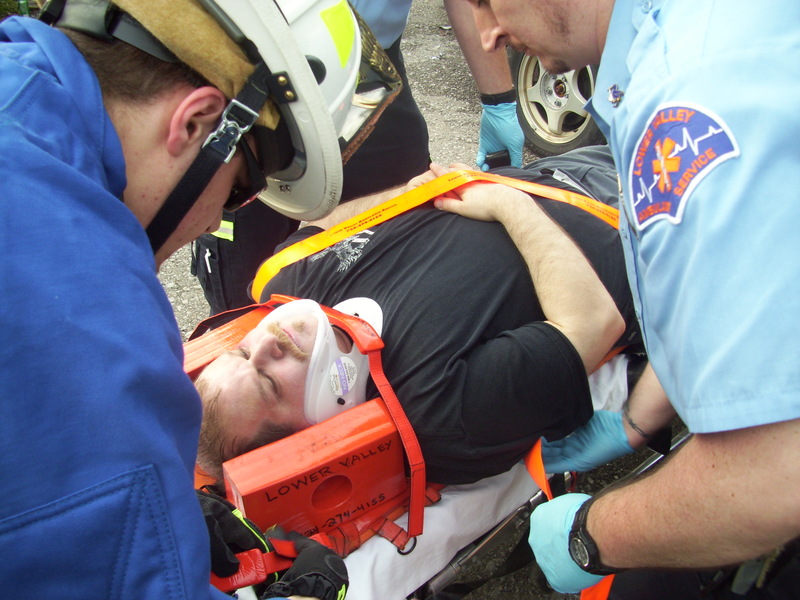 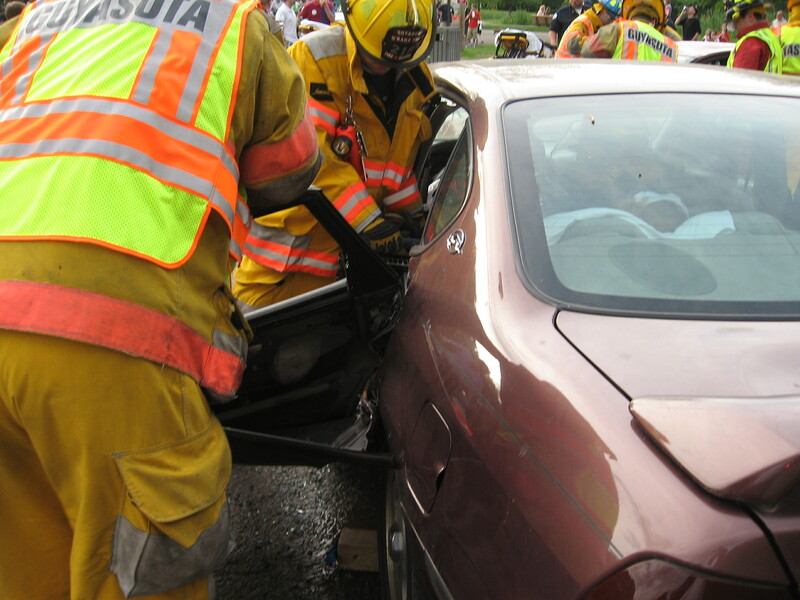 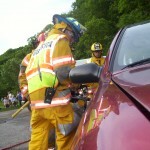 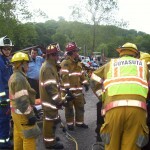 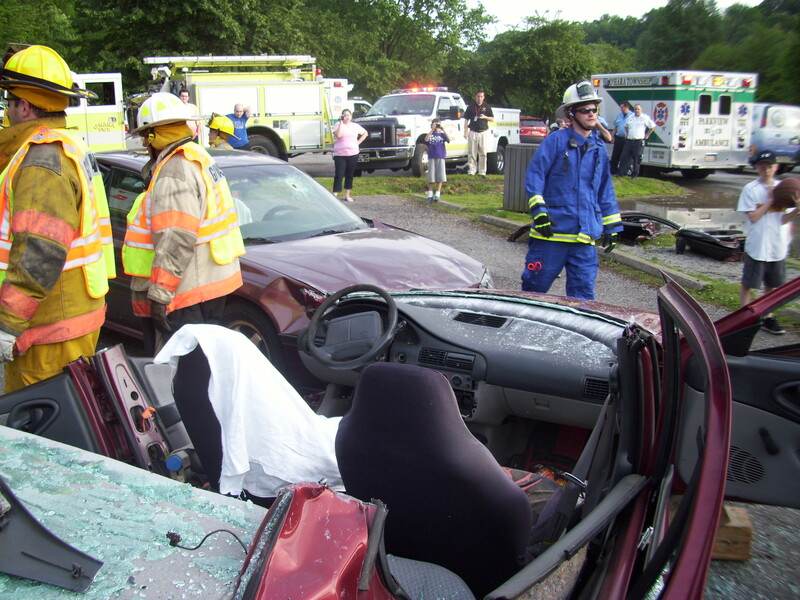 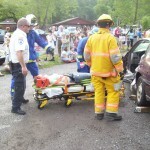 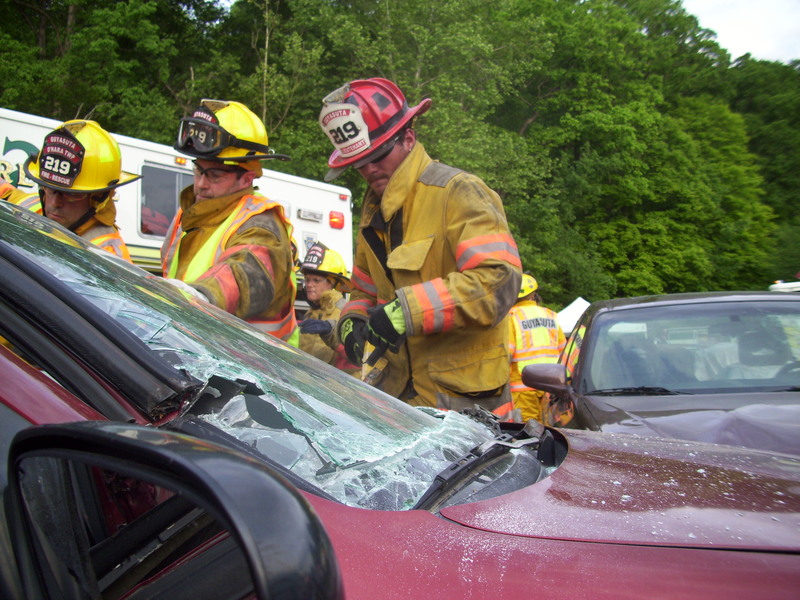 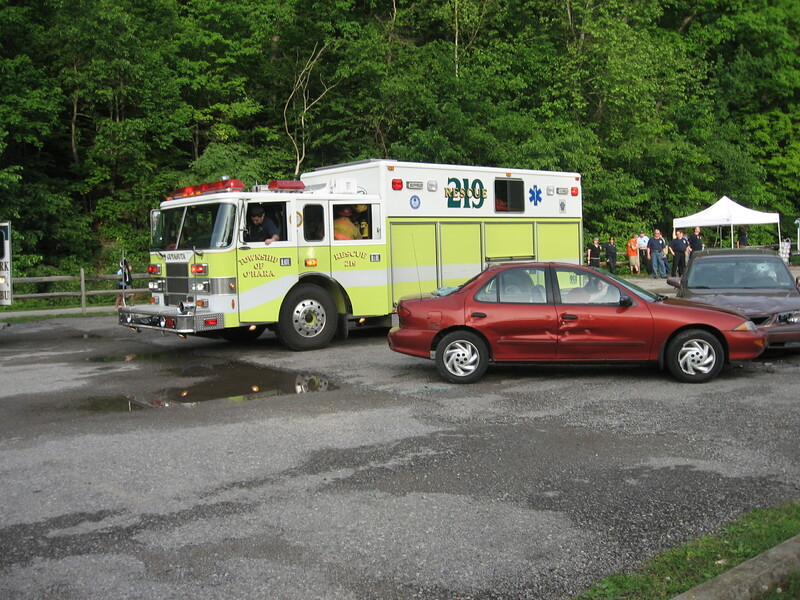 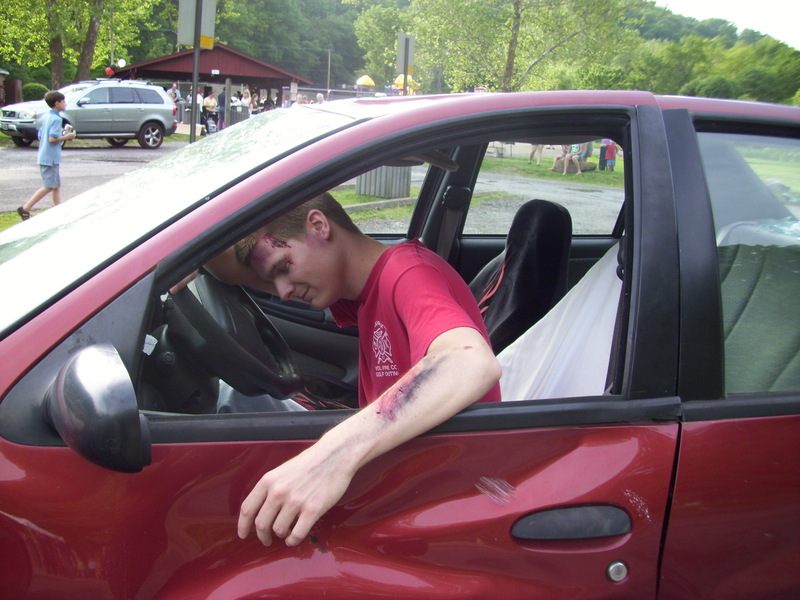 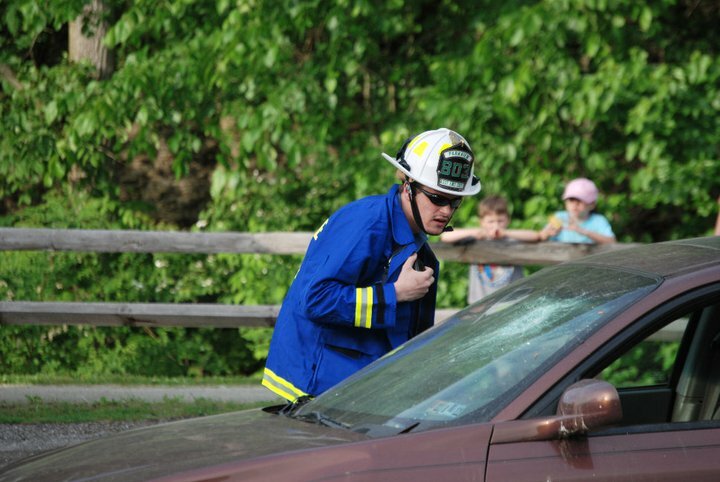 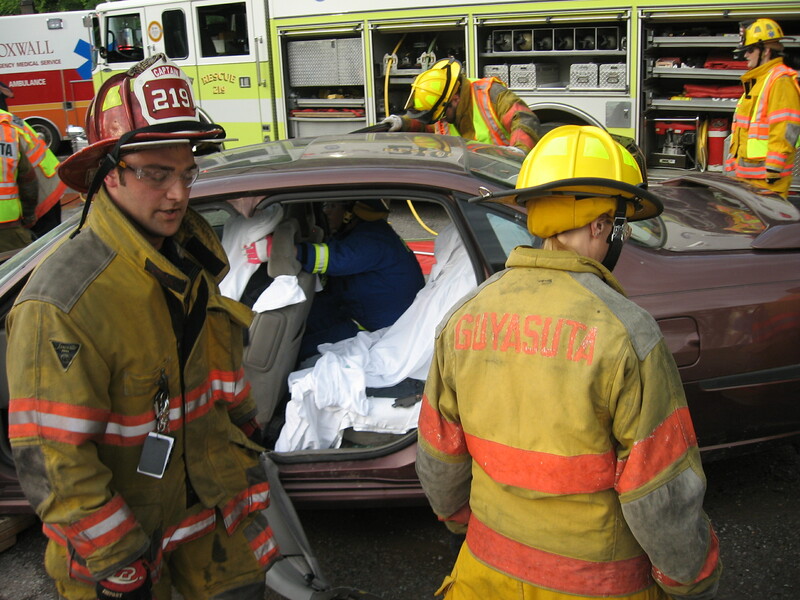 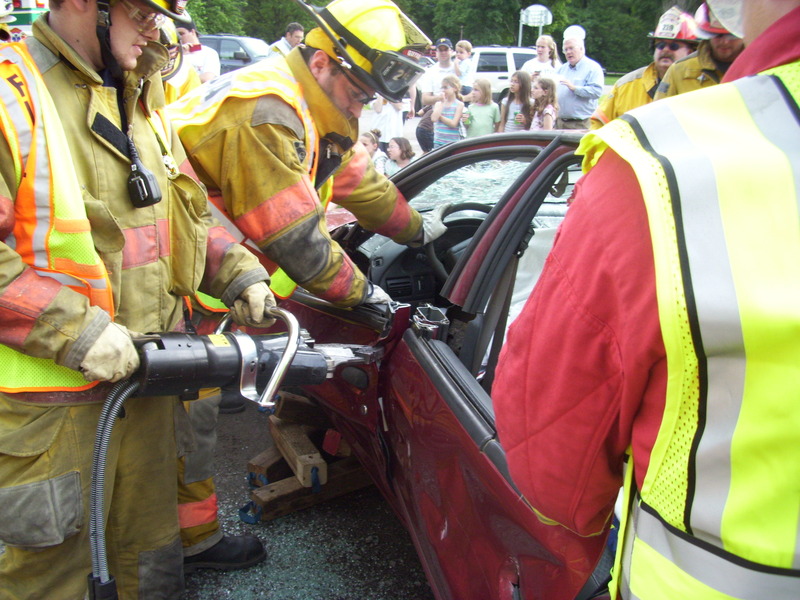 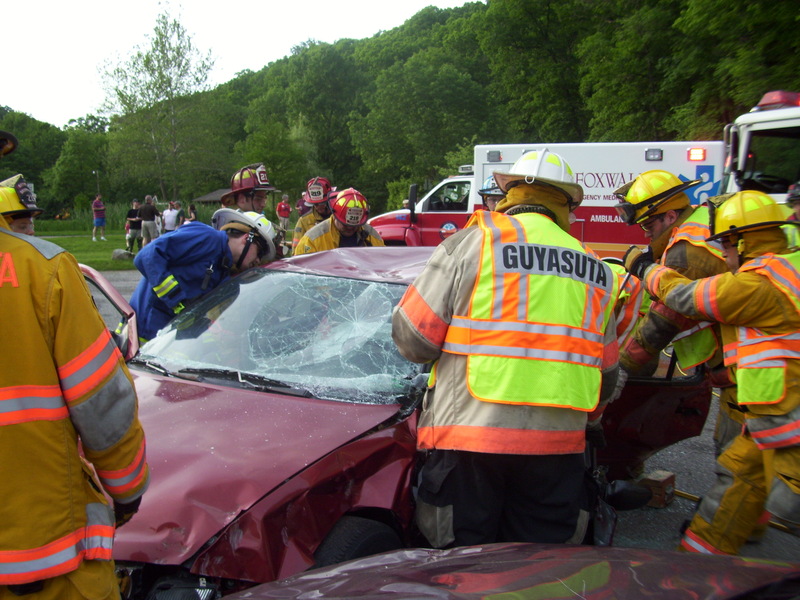 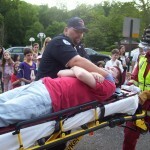 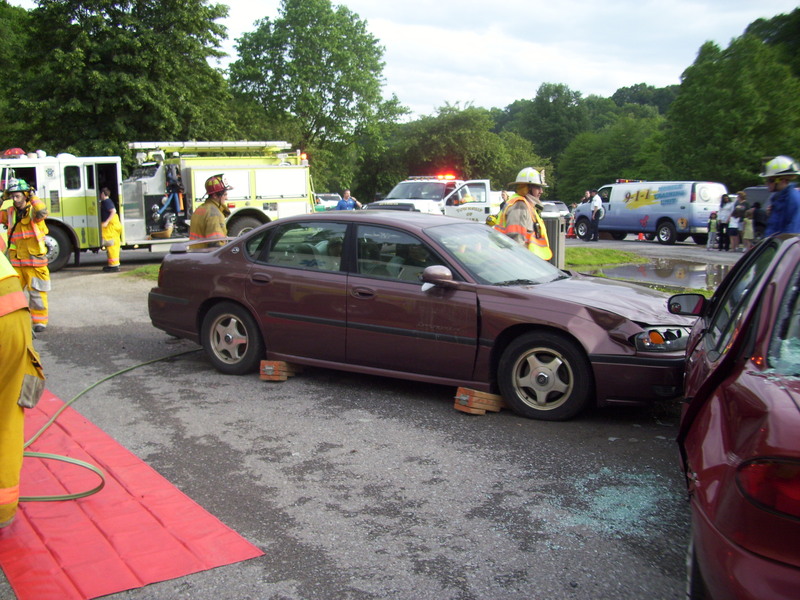 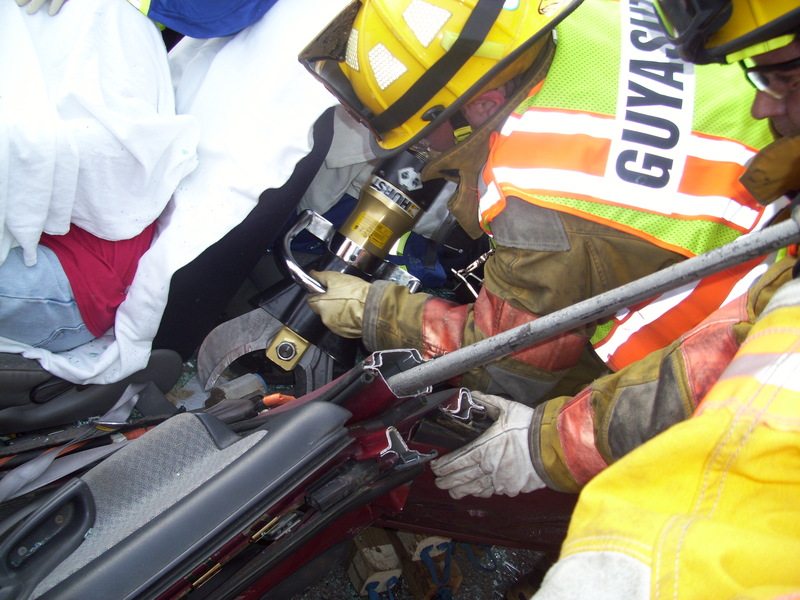 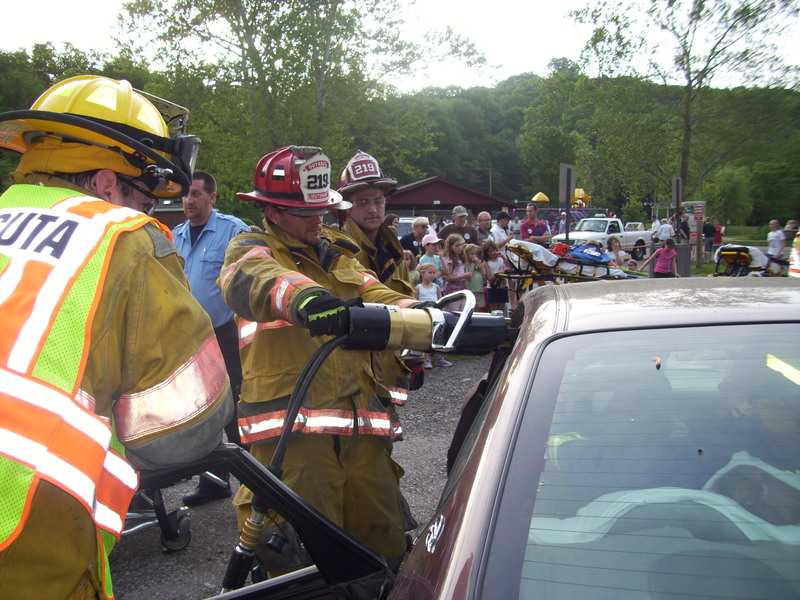 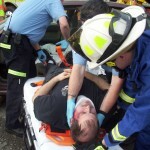 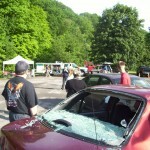 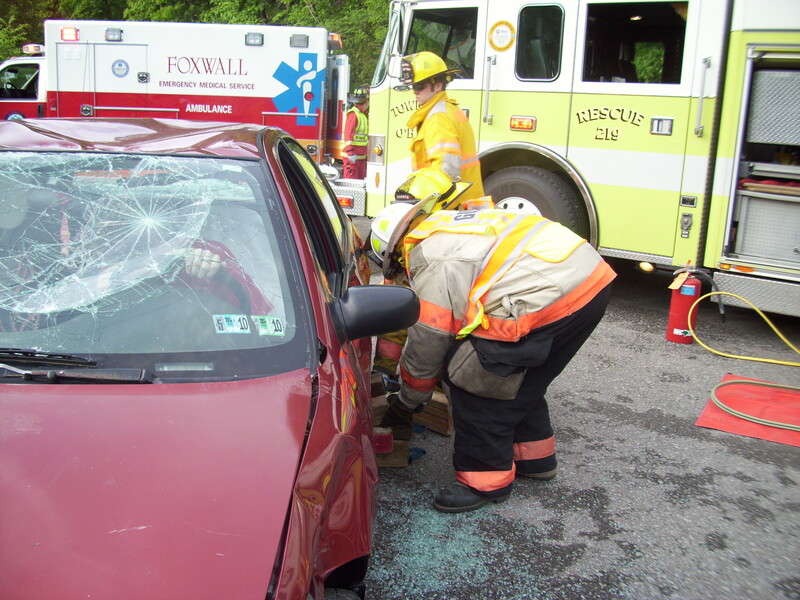 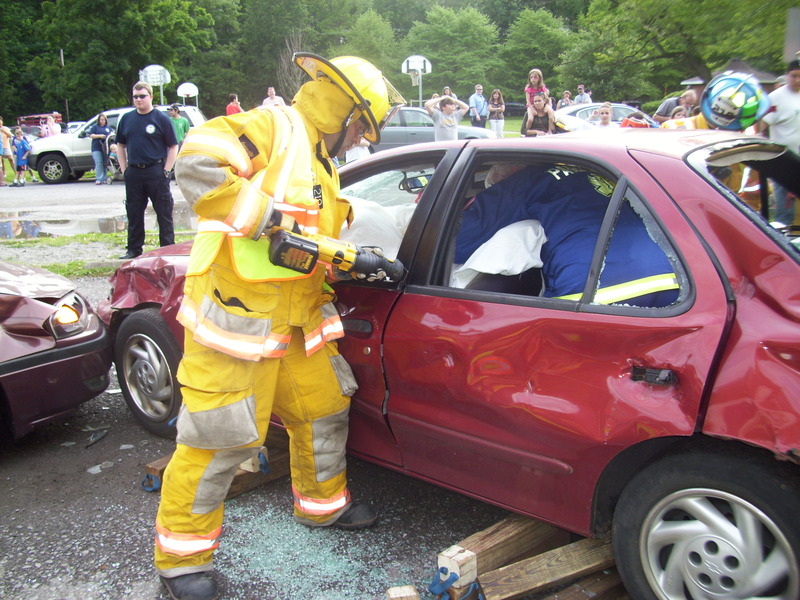 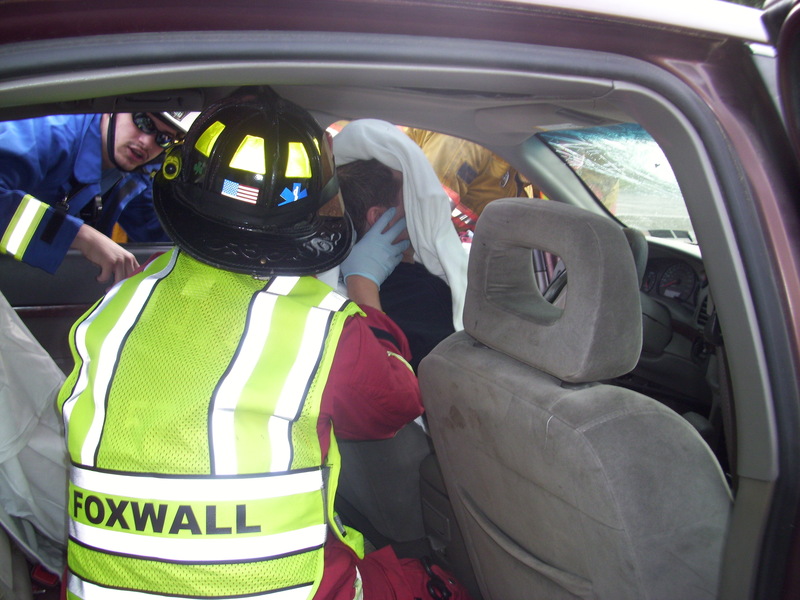 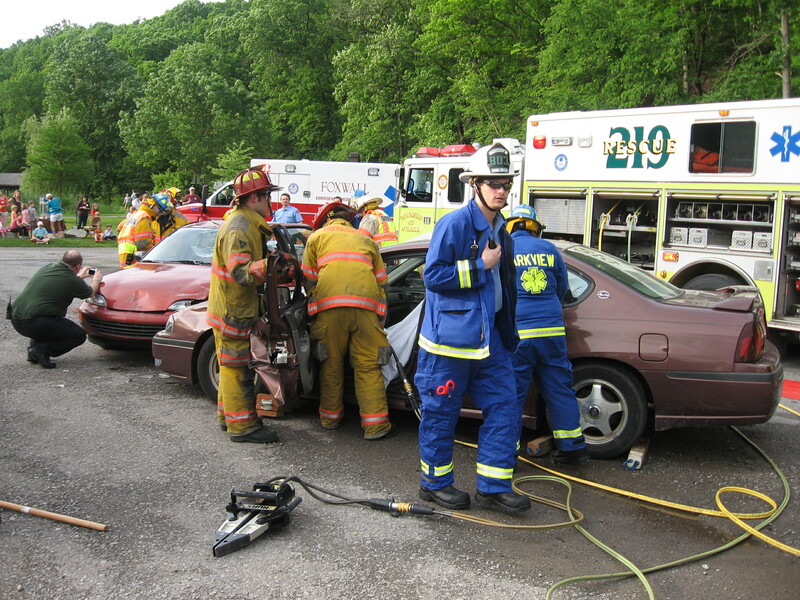 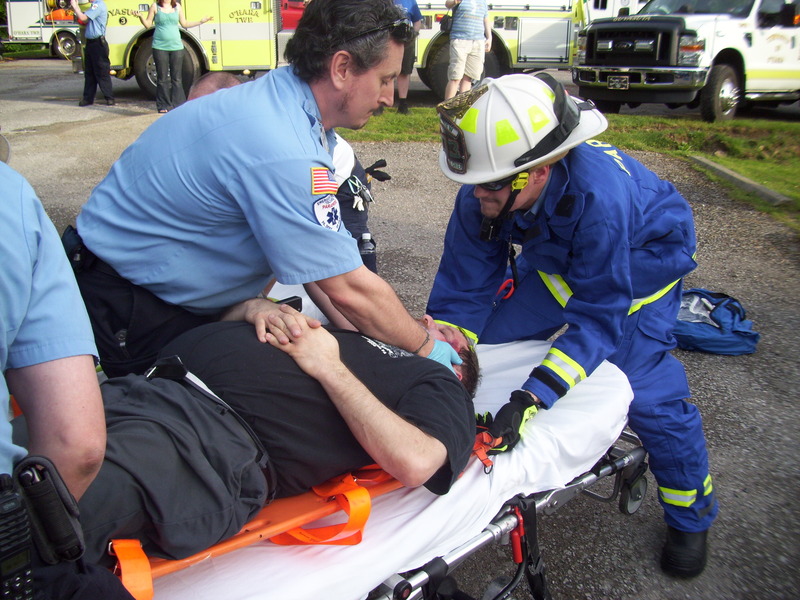 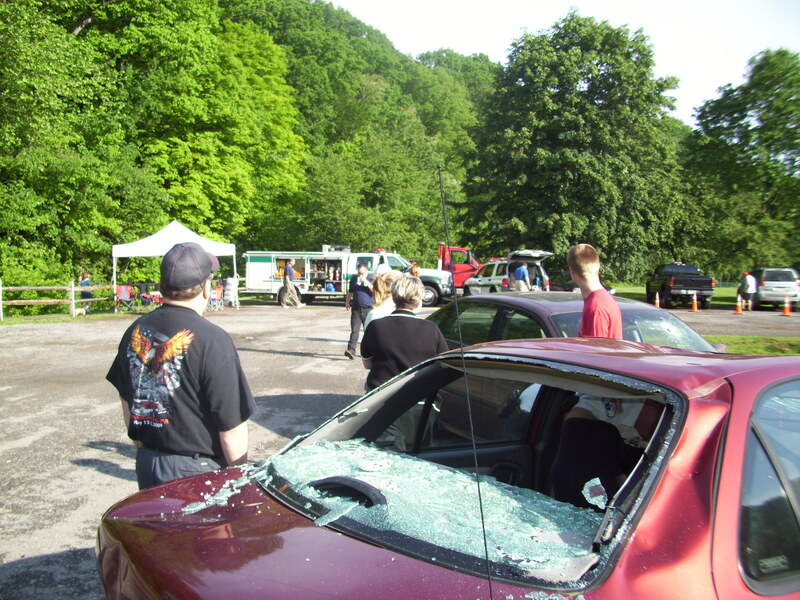 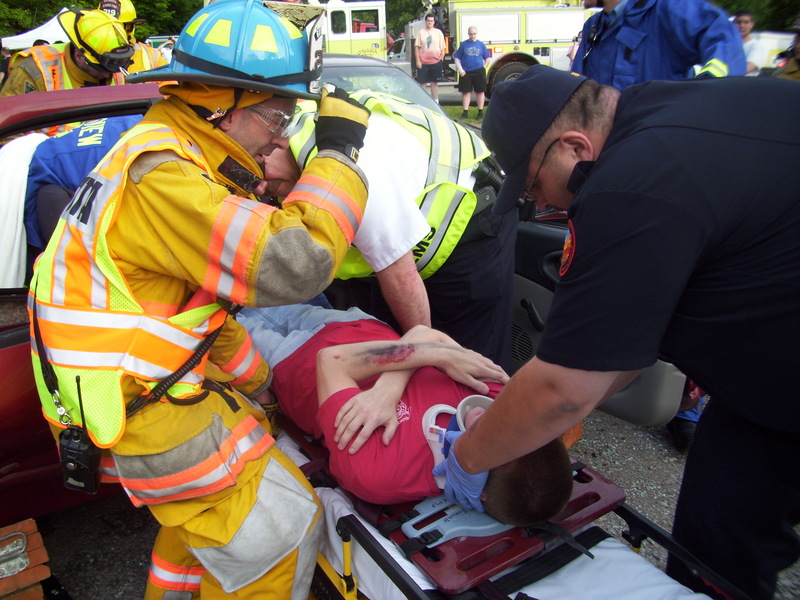 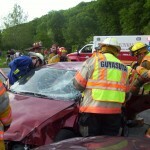 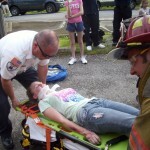 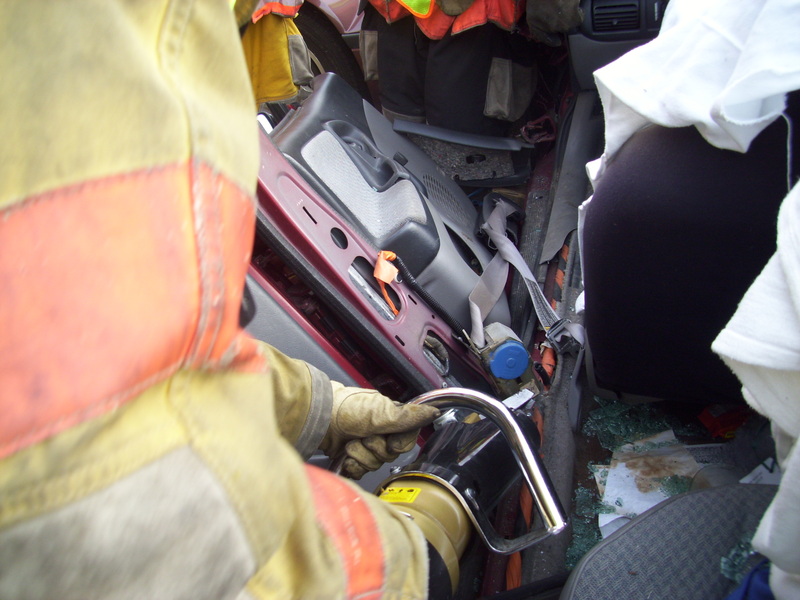 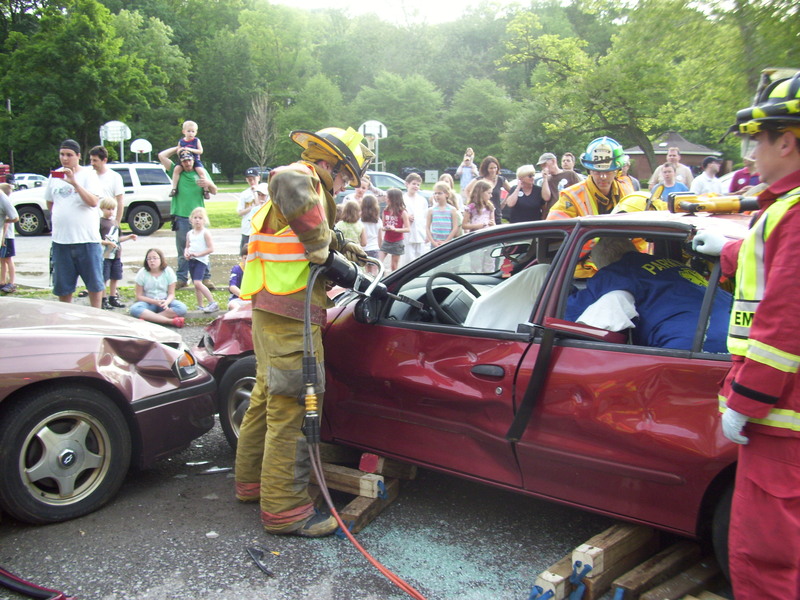 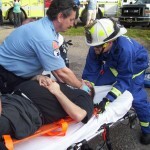 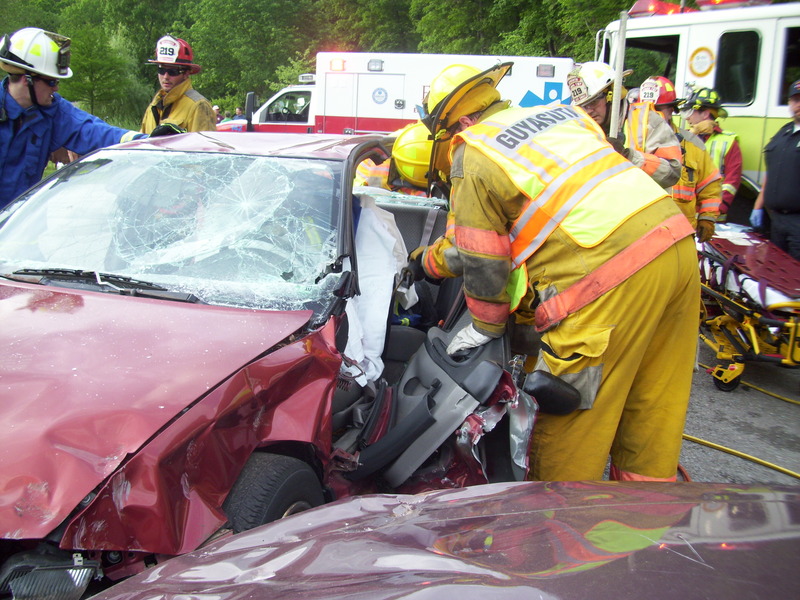 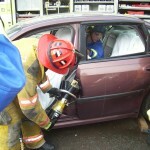 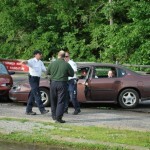 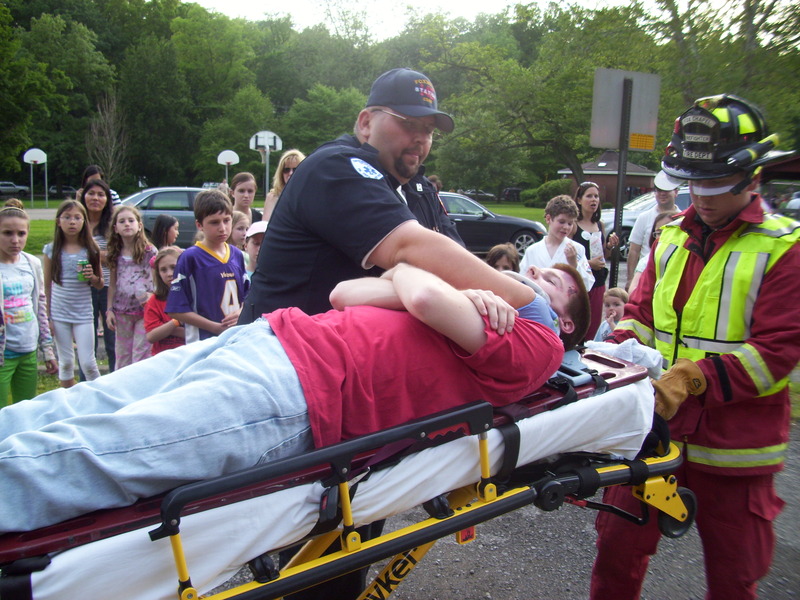 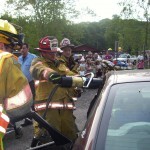 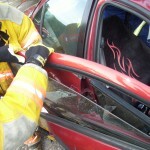 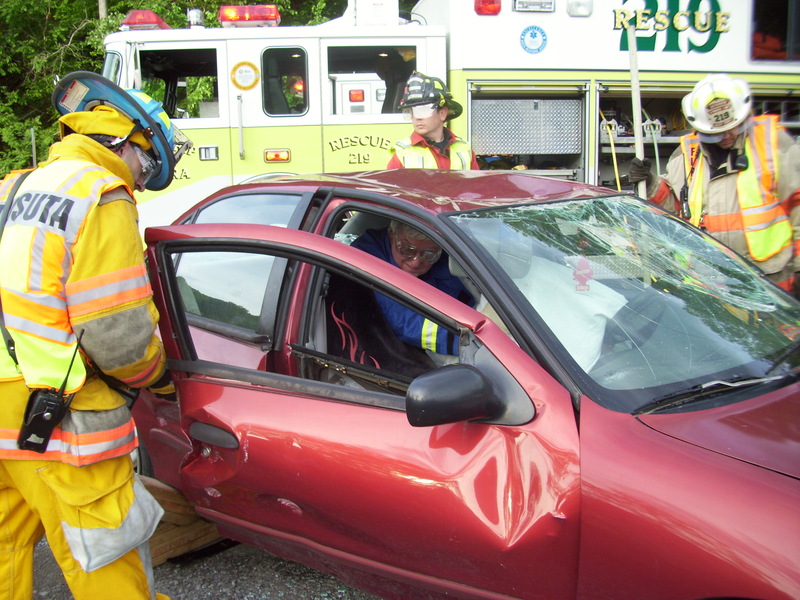 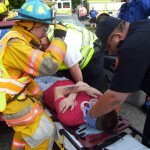 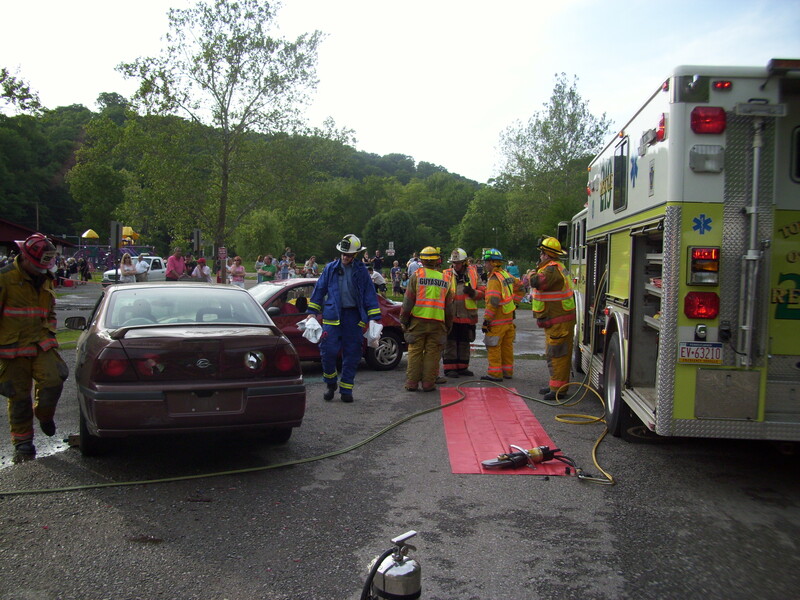 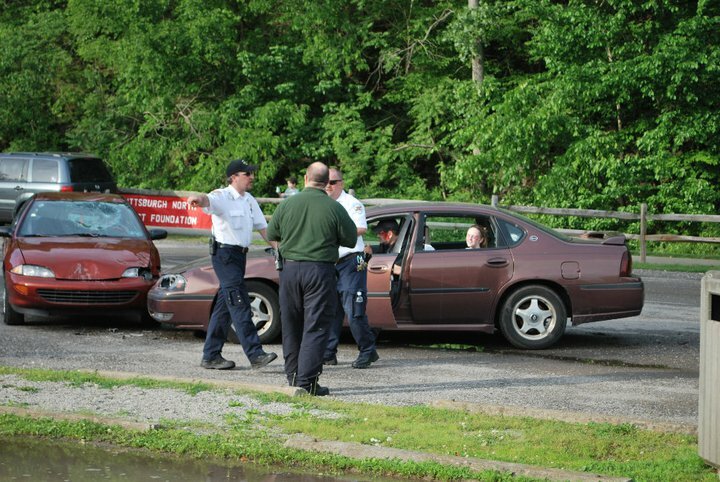 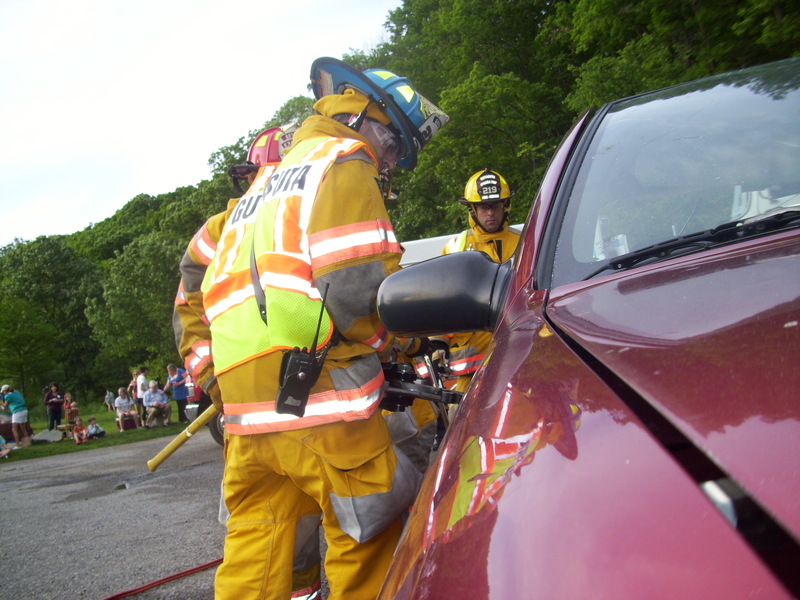 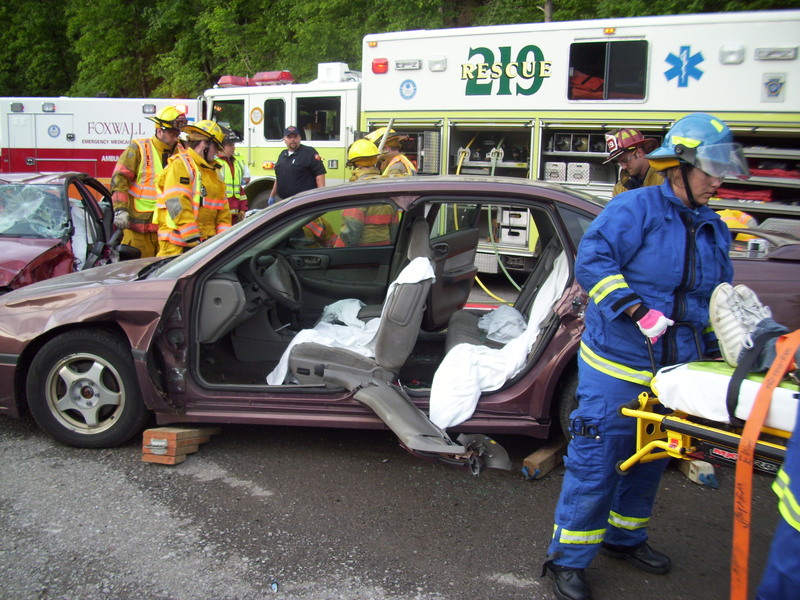 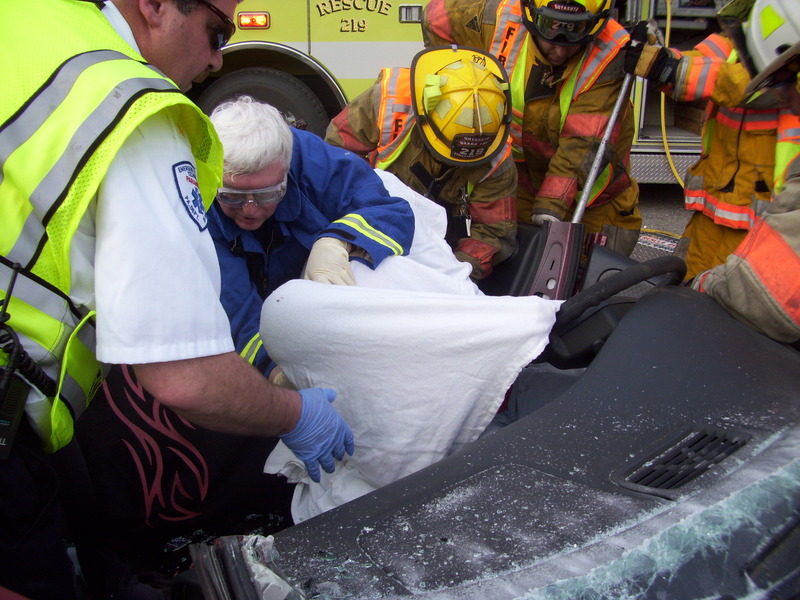 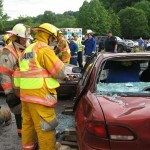 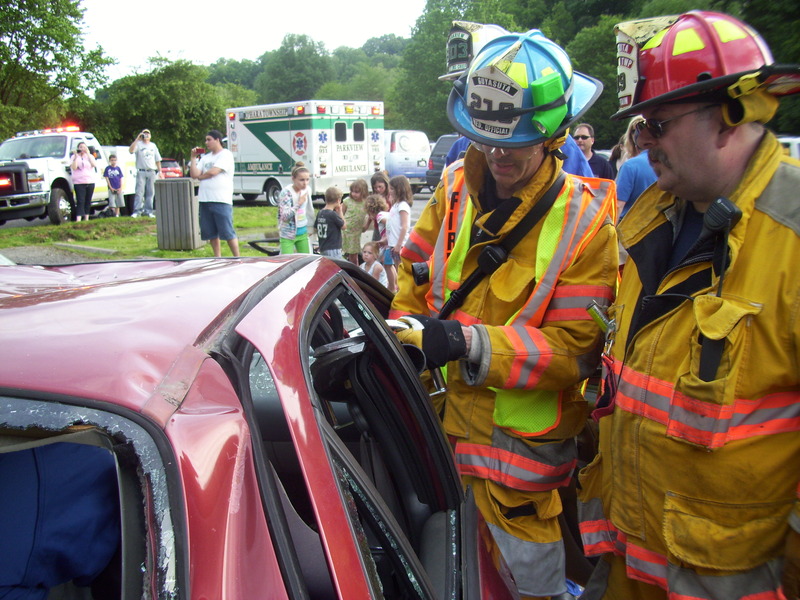 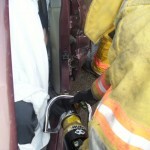 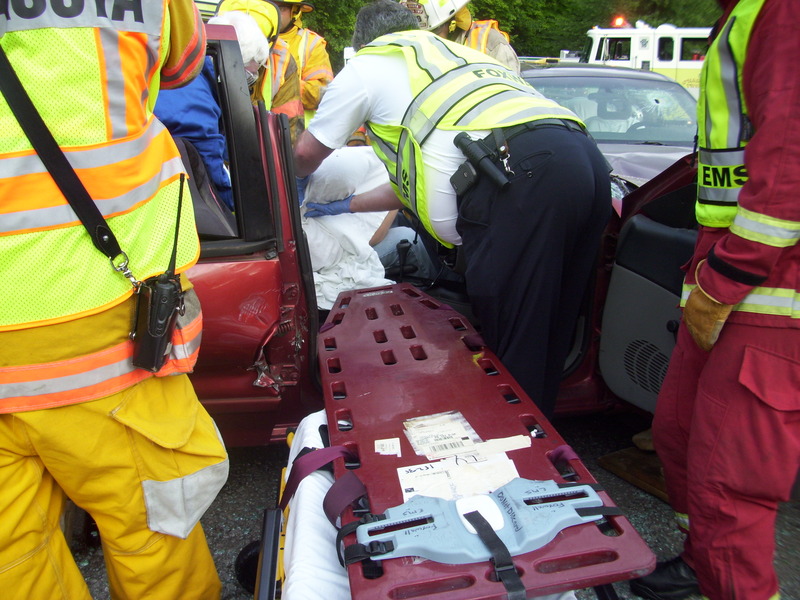 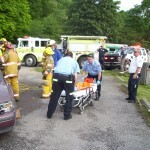 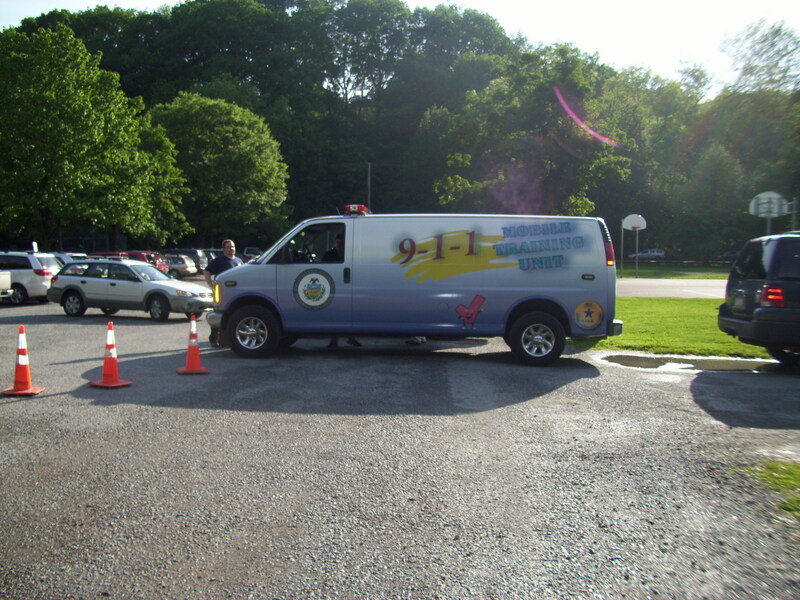 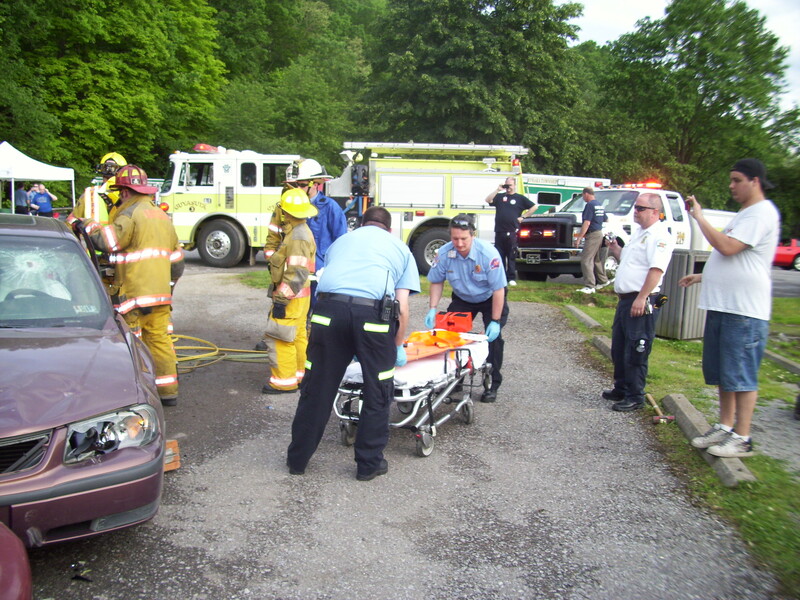 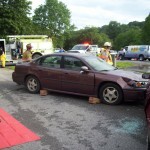 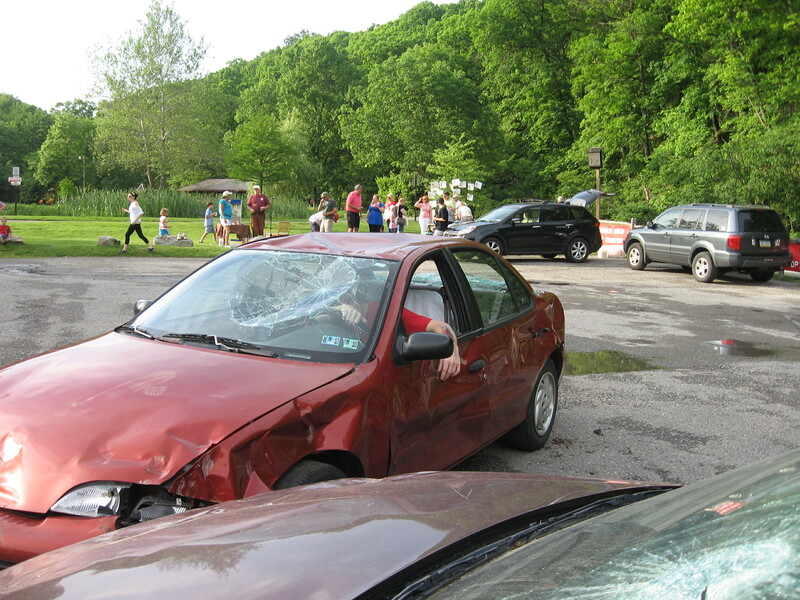 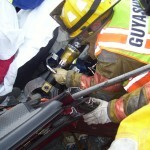 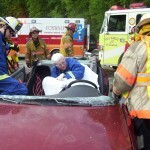 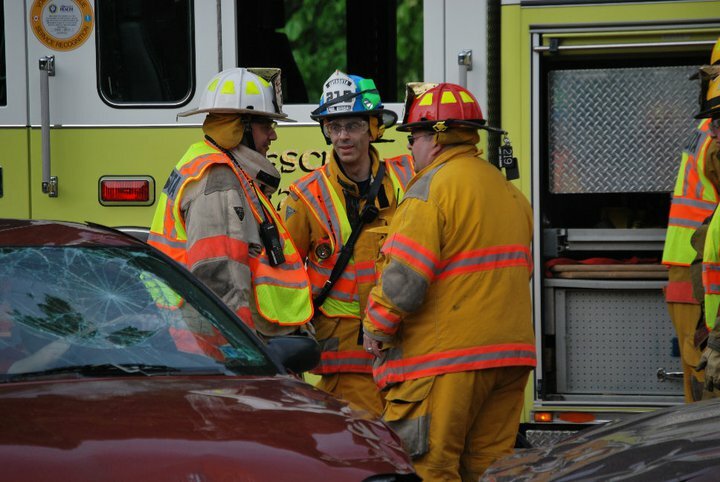 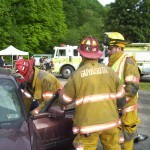 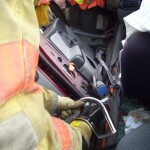 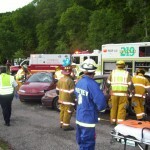 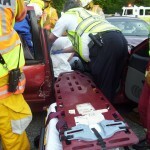 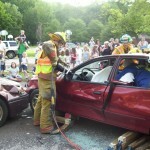 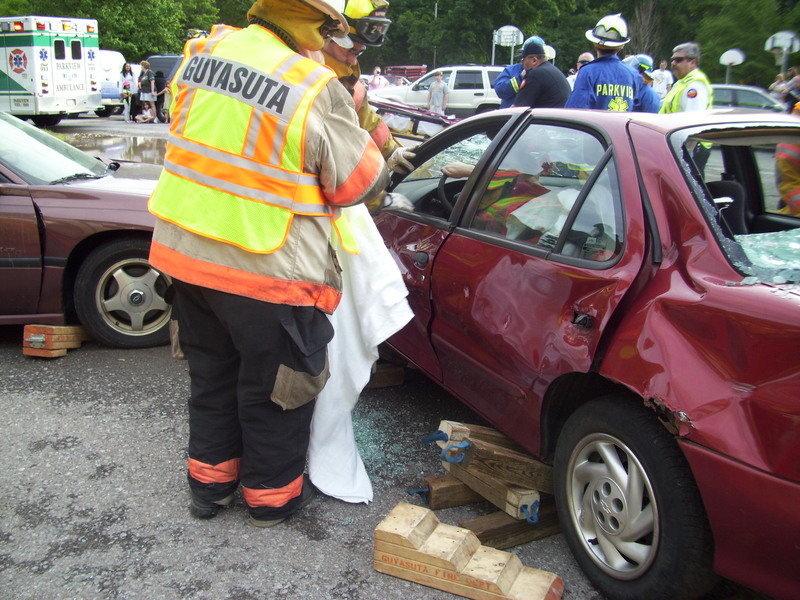 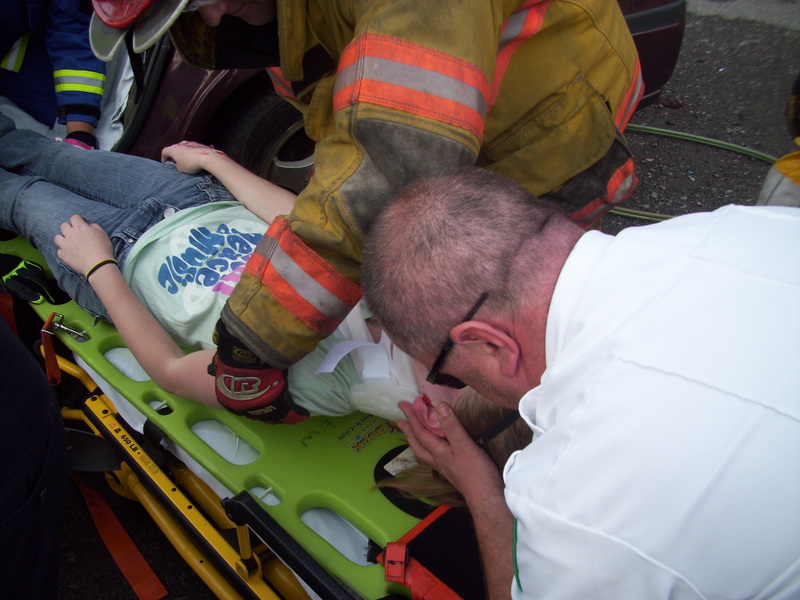 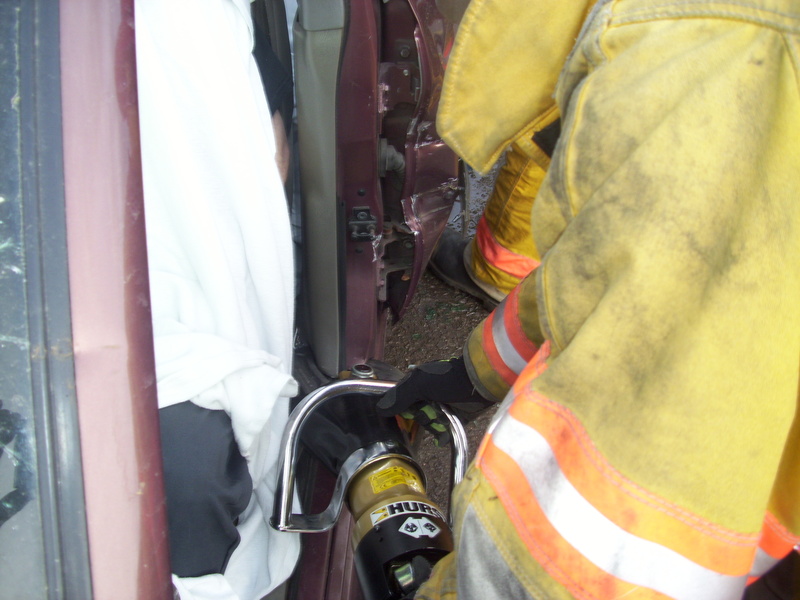 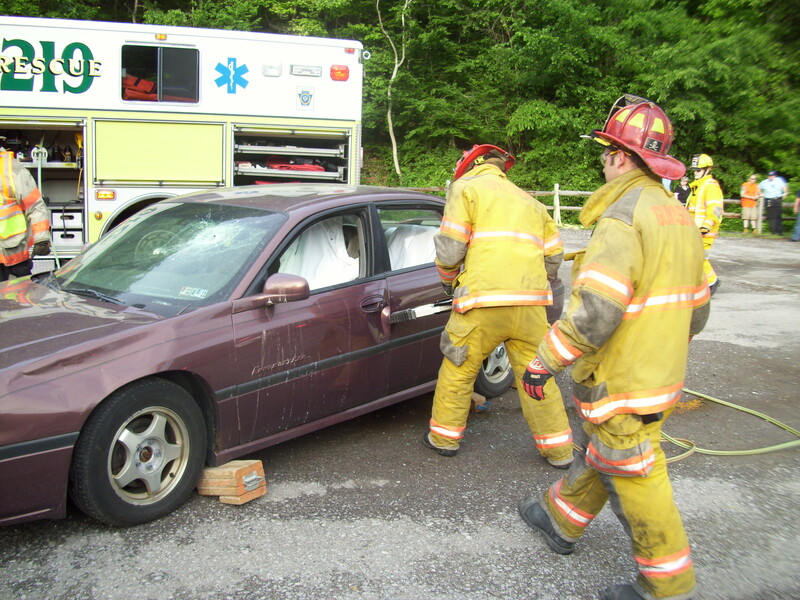 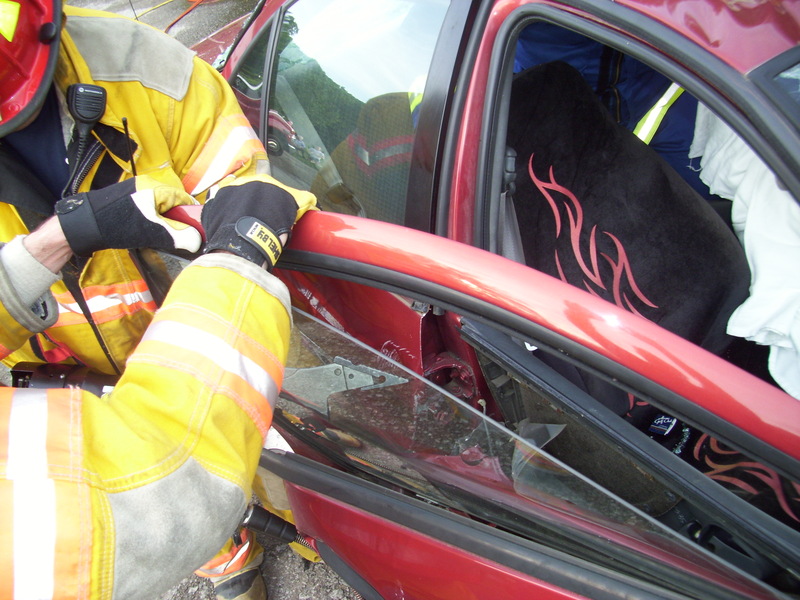 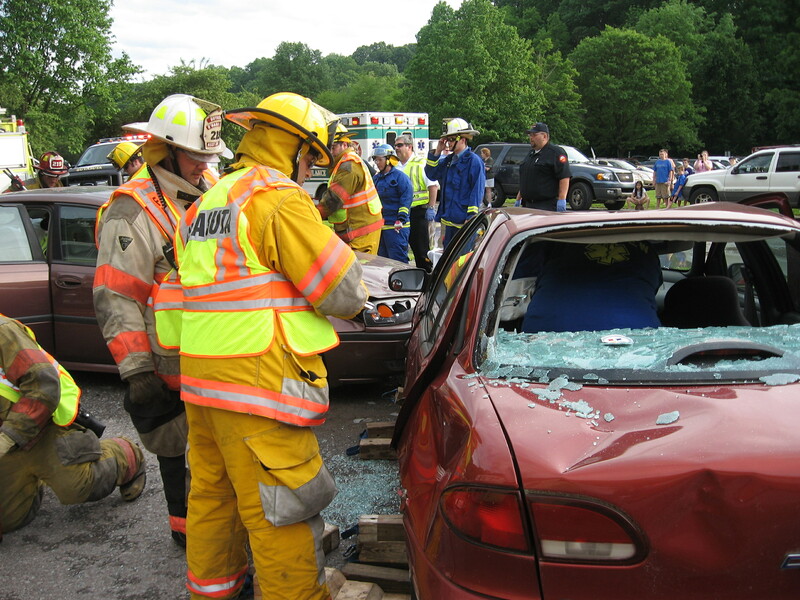 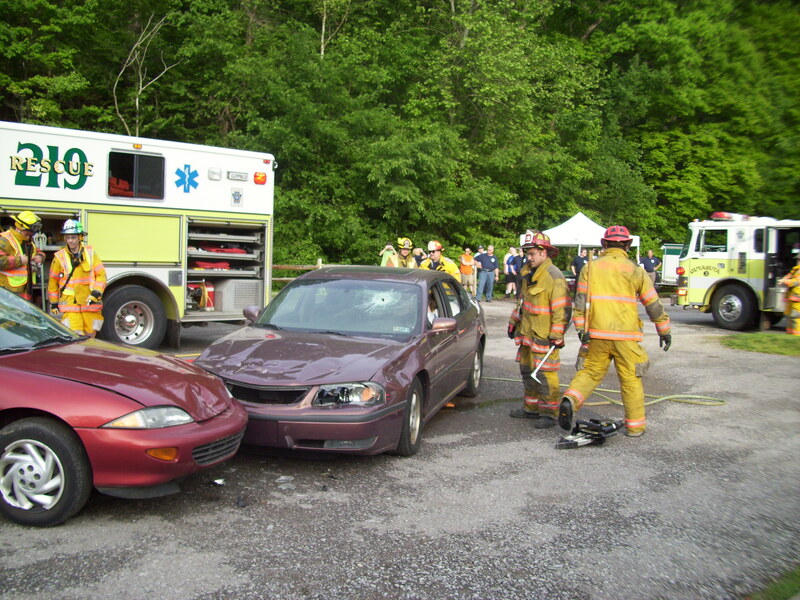 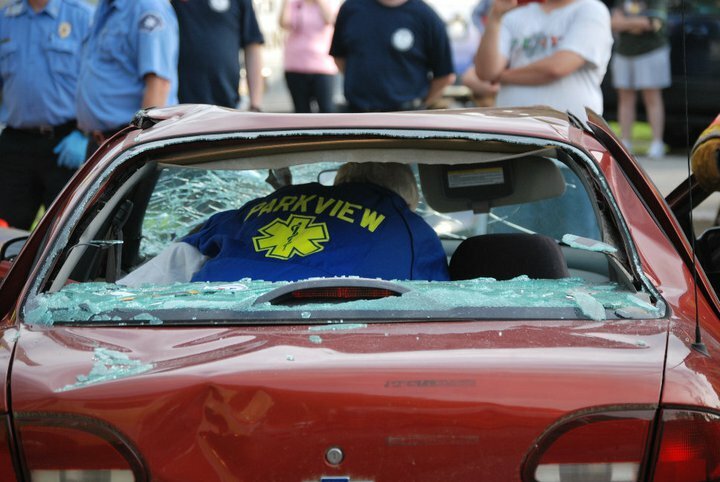 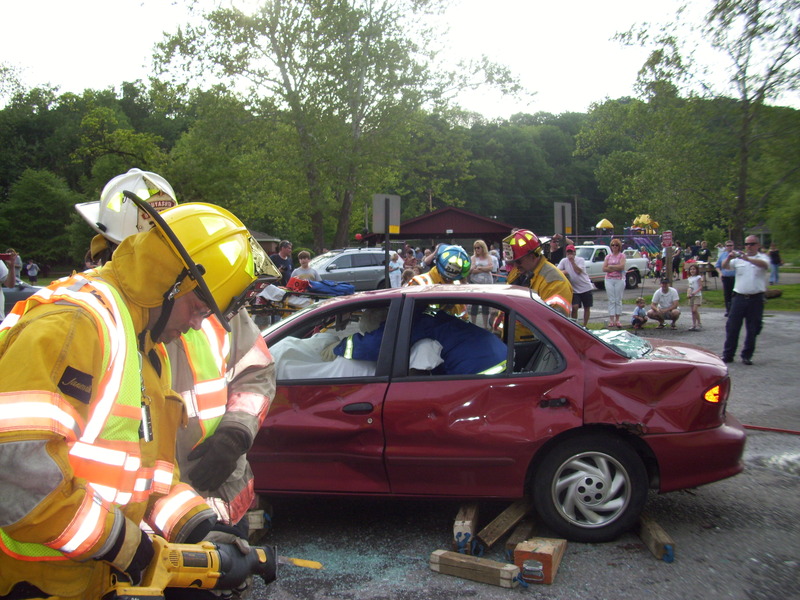 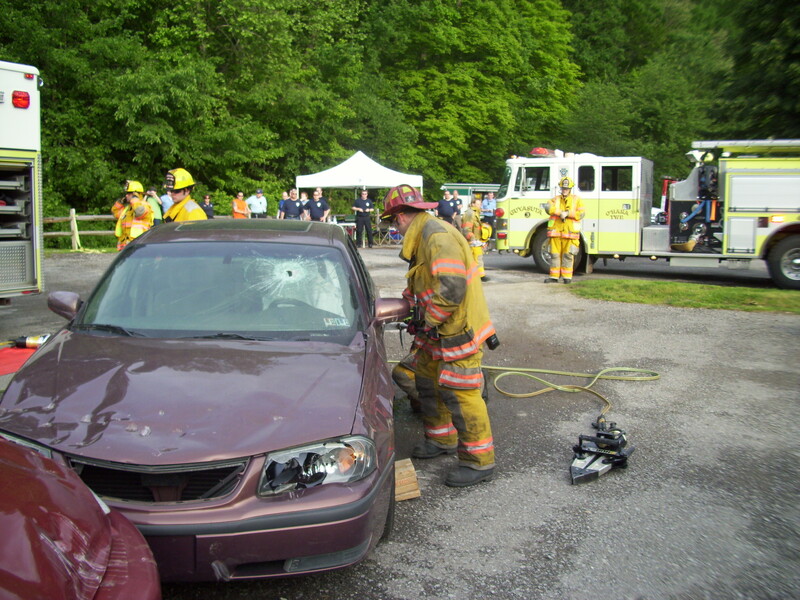 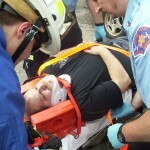 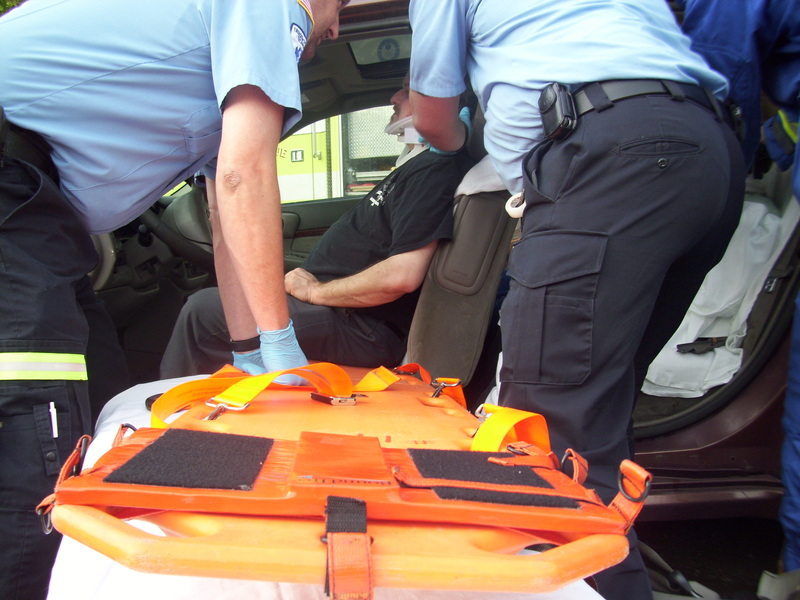 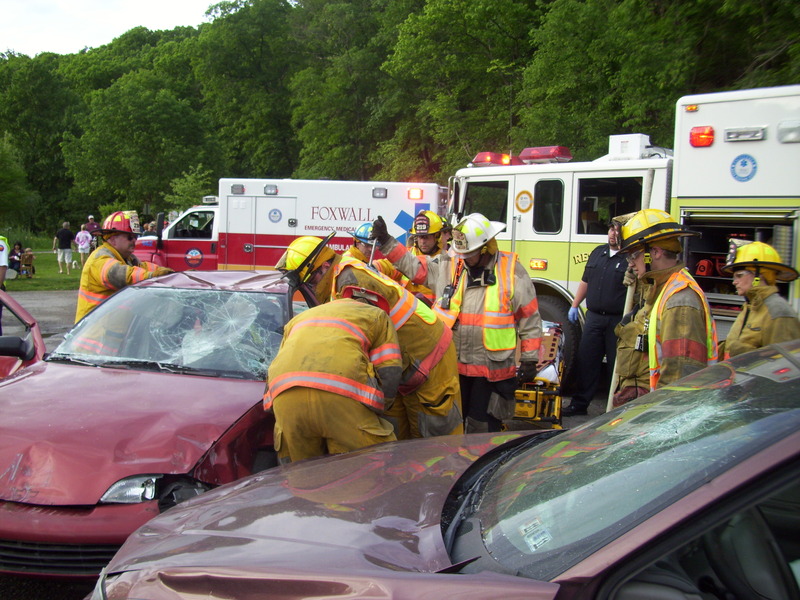 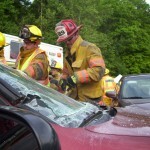 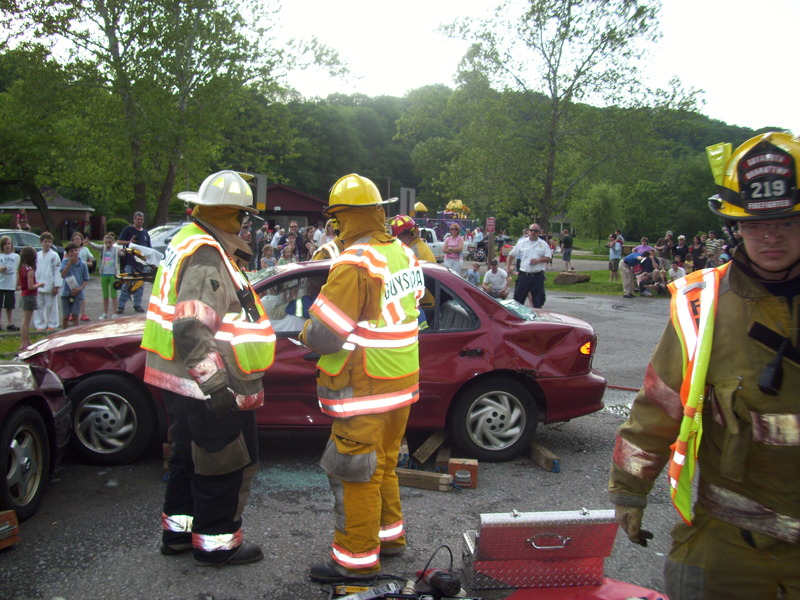 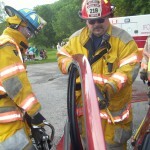 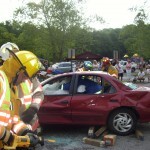 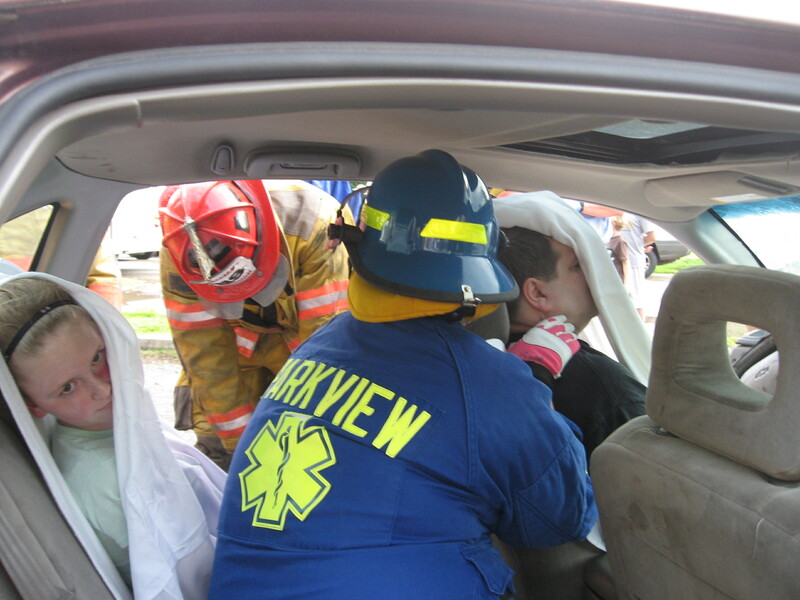 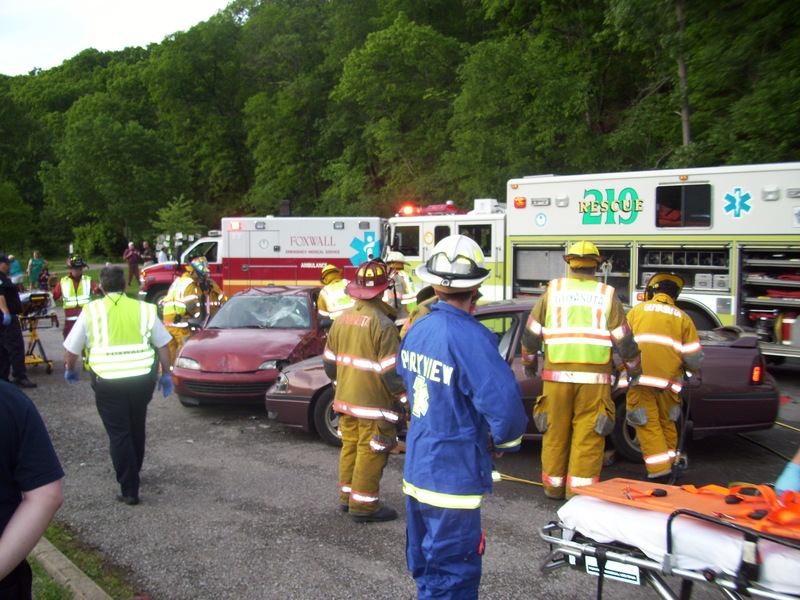 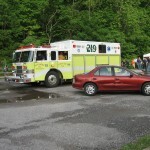 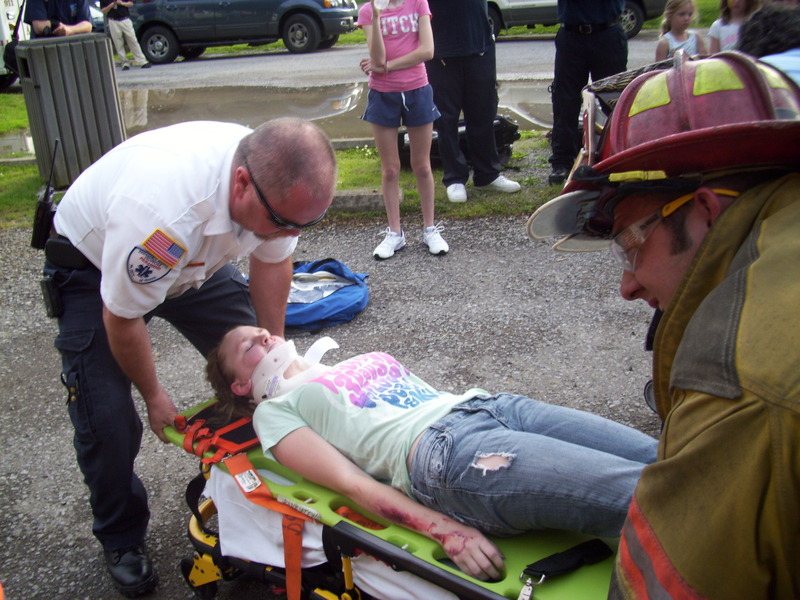 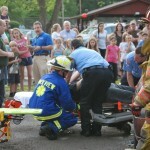 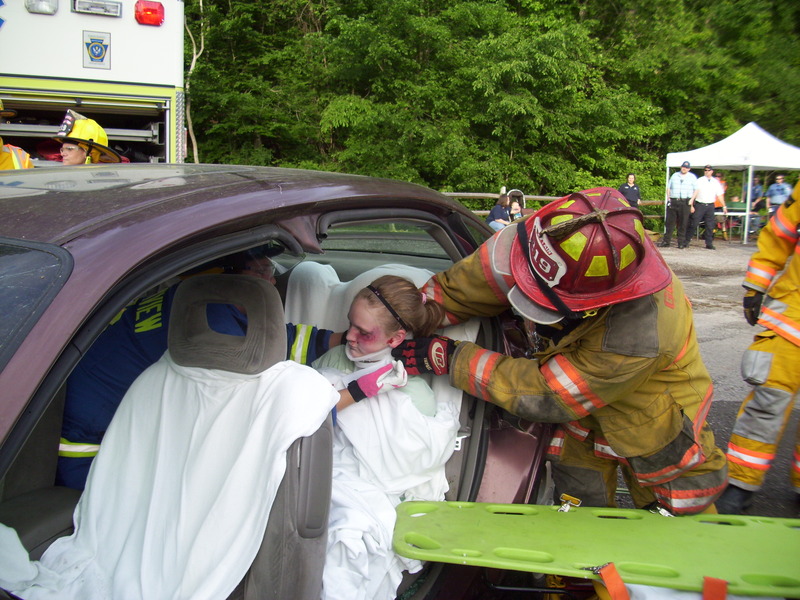 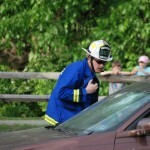 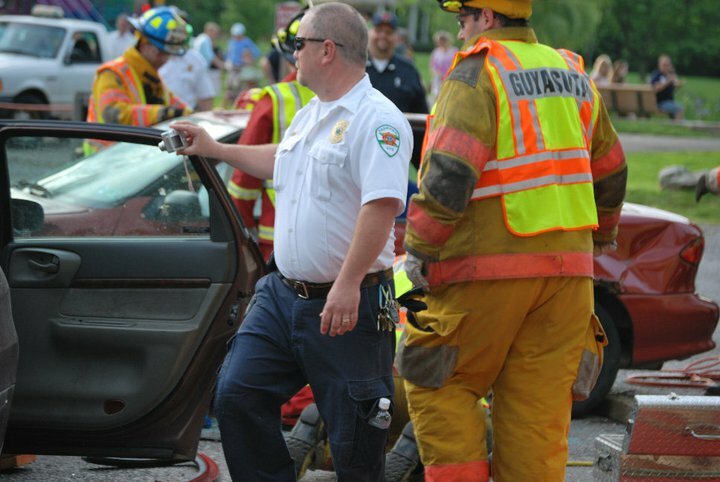 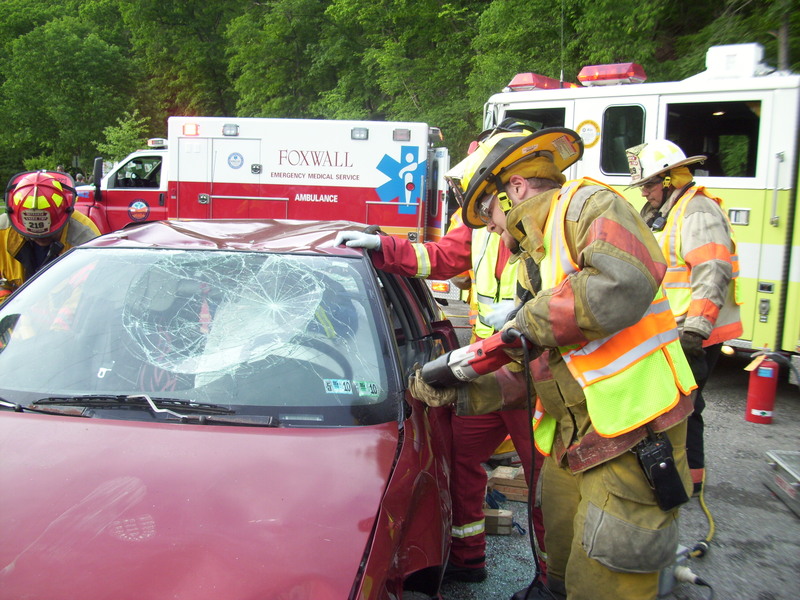 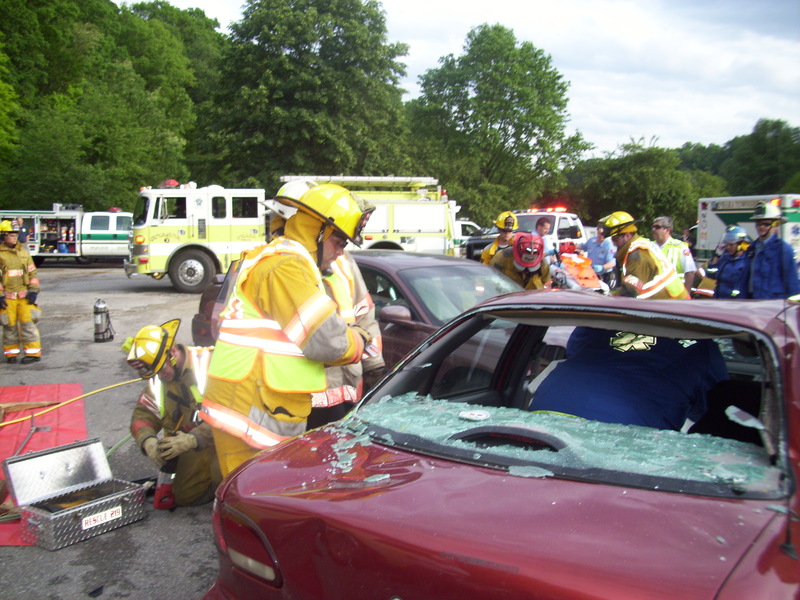 On May 26,2011;Parkview Fire/EMS participated in a mock crash demonstration to illustrate the dangers of distracted driving at Squaw Valley Park. 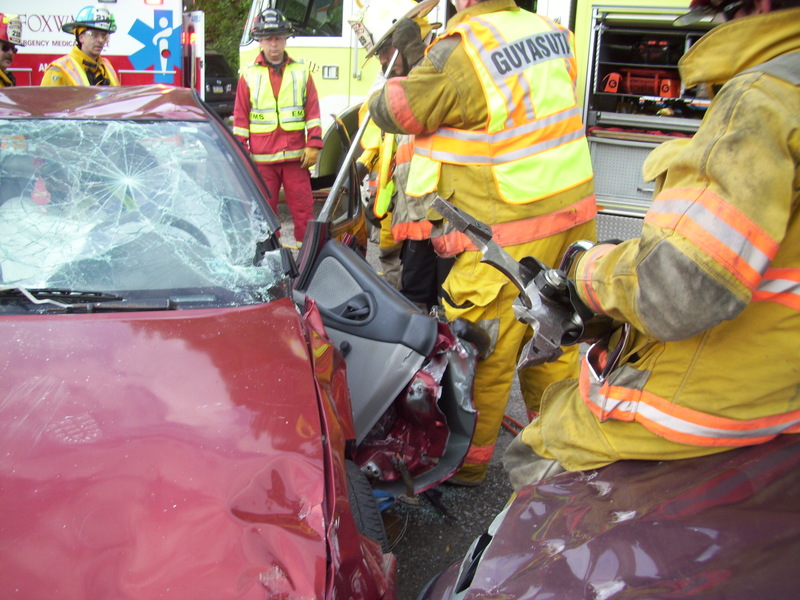 As emergency responders,we have been seeing an increase in motor vehicle collisions involving drivers who are not focusing 100% in the road. 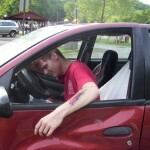 Instead they are trying to drive while texting,shaving,using a laptop,applying make-up,etc. 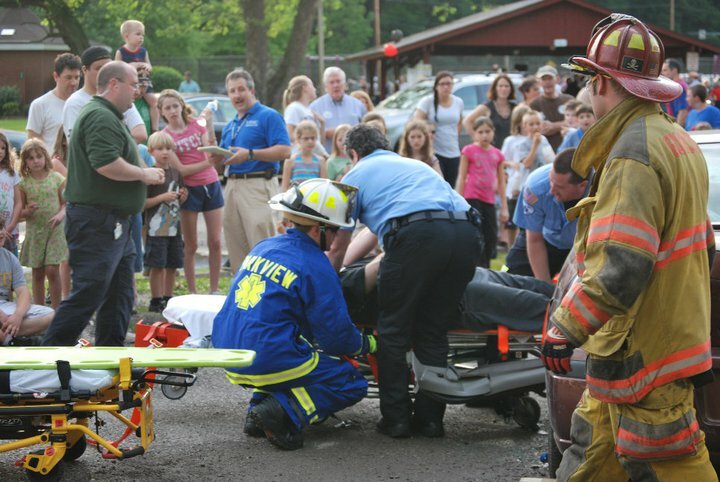 Parkview Fire/EMS was invited by the Fox Chapel District Association to participate in this event during their Trail Mix Party. 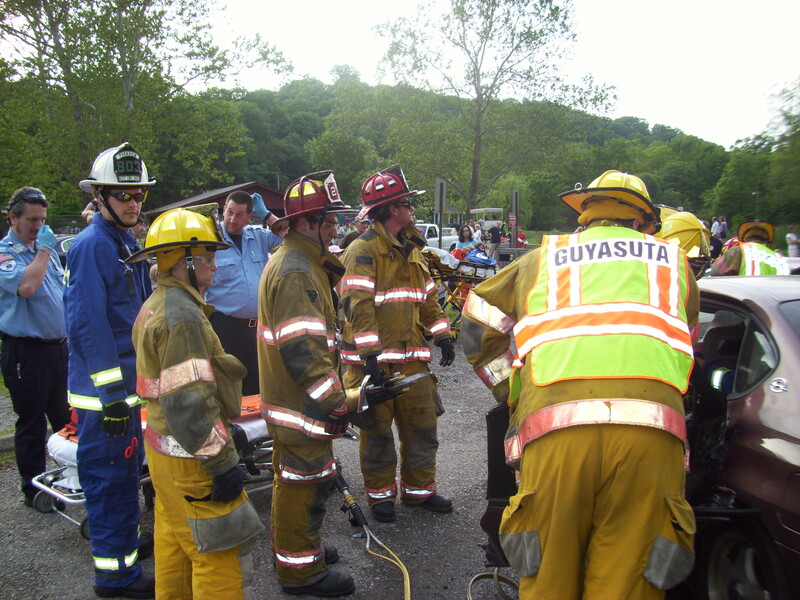 Assisting us was UPMC Prehosptial Care,Allegheny County Emergency Services 911 Van,Guyasuta VFD, Foxwall EMS,and Lower Valley EMS. 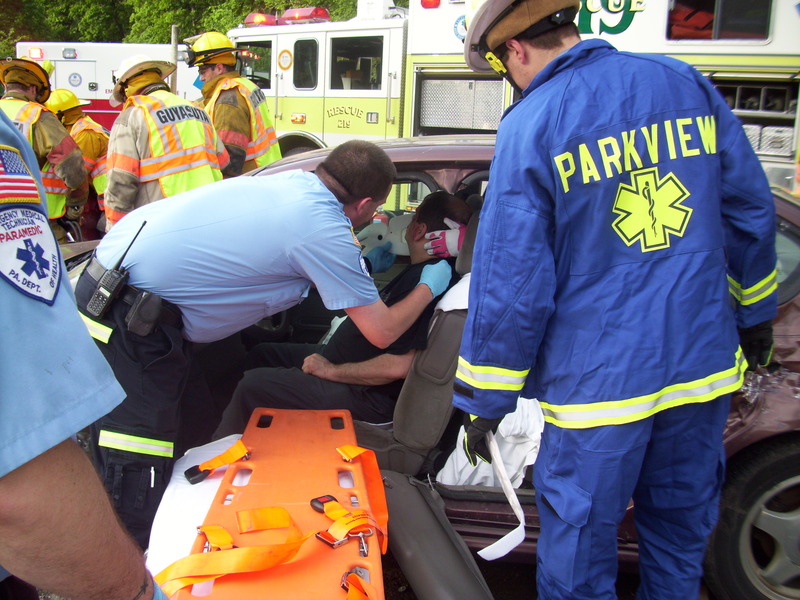 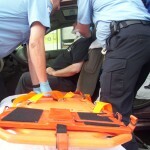 Patient care was provided by Parkview EMS,Foxwall EMS and Lower Valley Ambulance. 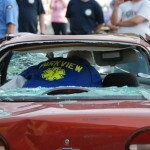 Rescue services were performed by Guyasuta VFD and Responder Rehab was provided by Parkview Fire. 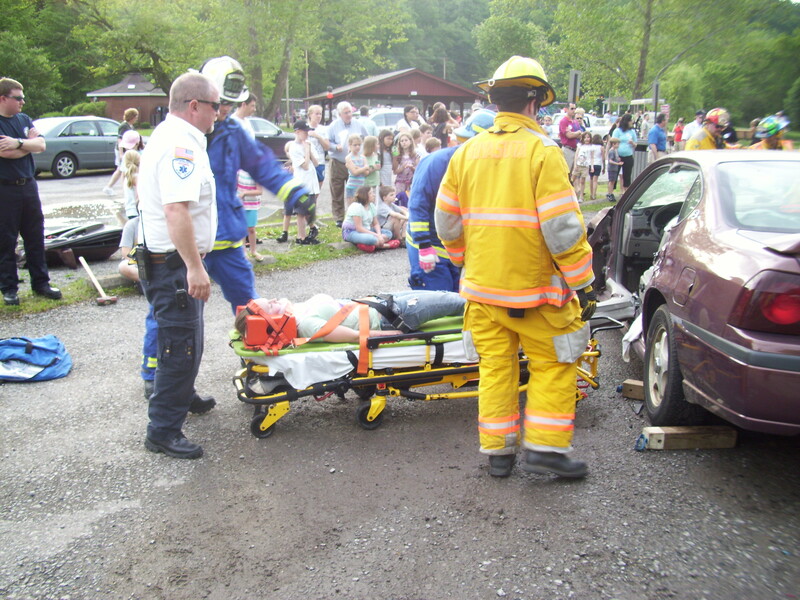 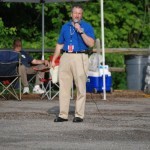 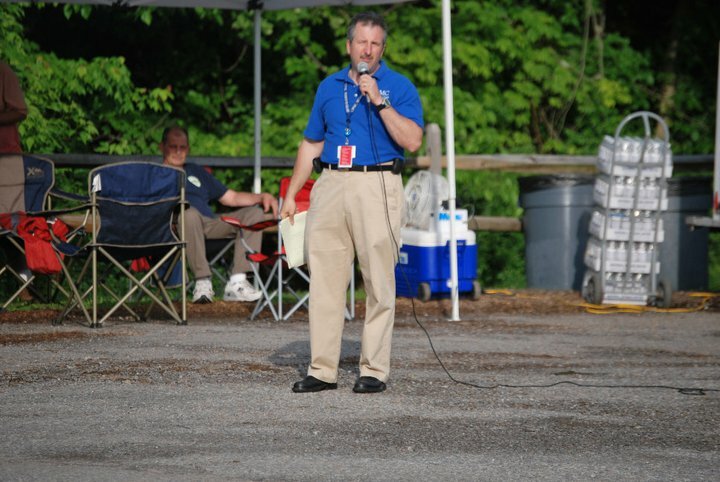 Curt Neill of UPMC Prehospital Care was the featured speaker of the event,narrating the actions of emergency services during the operation for the audience. 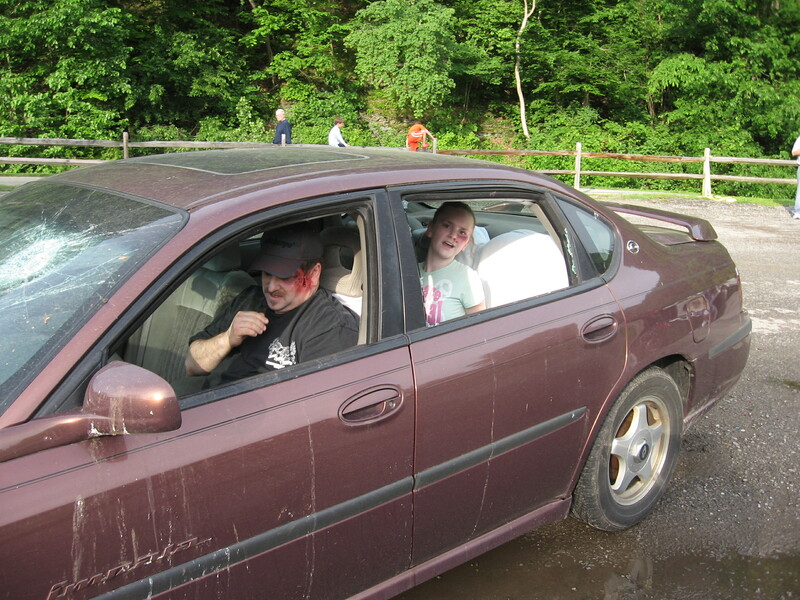 The moulage of the “victims”was performed by Linda Reiger of UPMC Prehospital Care. 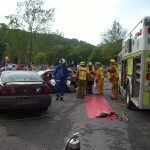 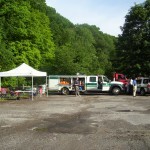 Parkview Fire/EMS wishes to thank everyone who assisted to make this event a success! 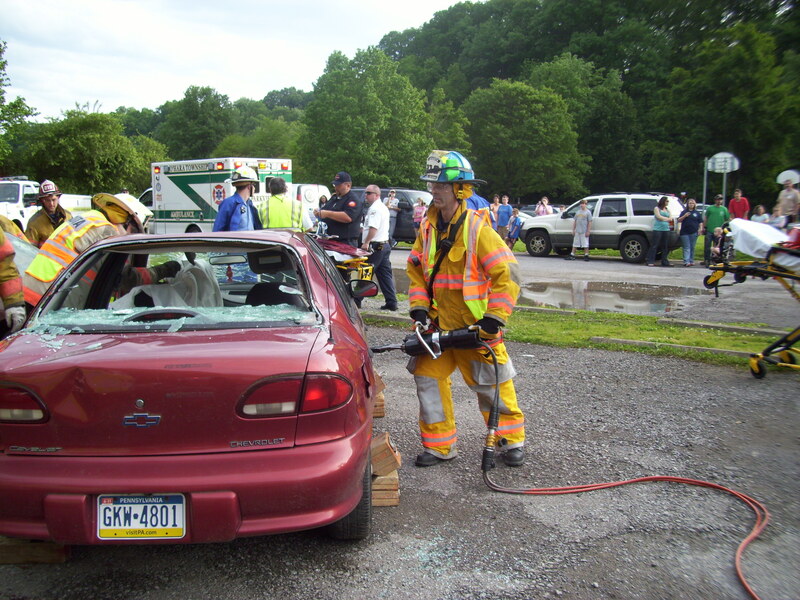 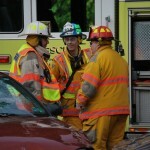 Western PA Fire Photography has a collection of pictures at their Facebook site!